New Devon issue out now! It's here, folks! Perfectly timed for all those of you sporting a sparkly new engagement ring on your finger - huge congrats! 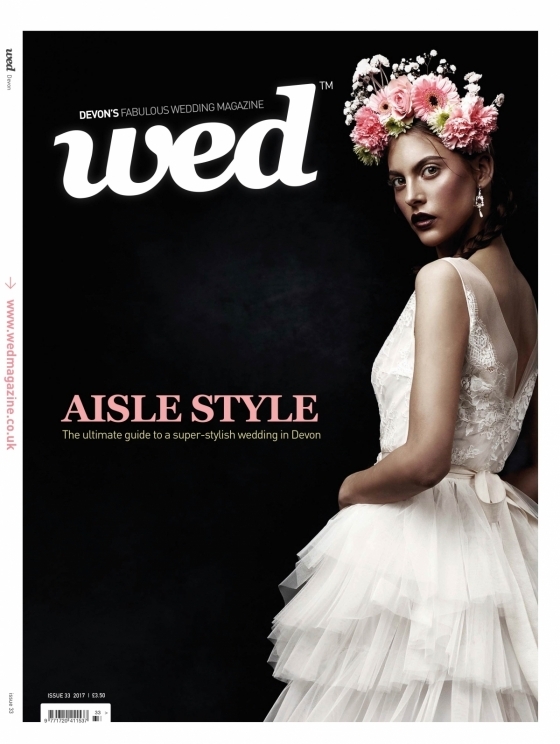 - the latest issue of Devon's wedding bible has hit th. . . It's that time of year when, in a whirl of last minute Christmas shopping, Bailey's swilling and mince pie munching, we take a moment to wish you - our wonderful readers, advertise. . . Welcome to Wed World, folks! As 2018 fast approaches and our thoughts turn to the year ahead, we're taking a moment to sit back, a glass of something warming in hand (Bailey's latt. 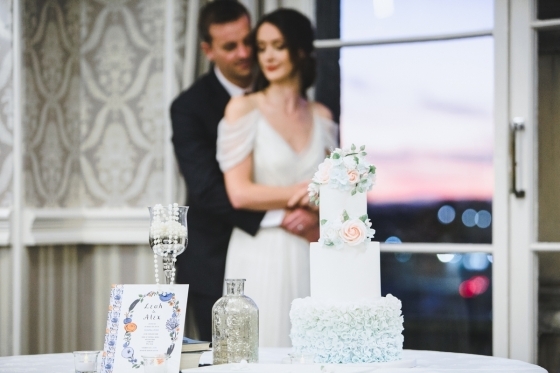 . .
Take a sneak peek at this stunning styled shoot 'As Evening Falls', that features in our latest Devon issue.Orchestrated by Bridget from Blue Fizz Events, it beautifully showcases . . . 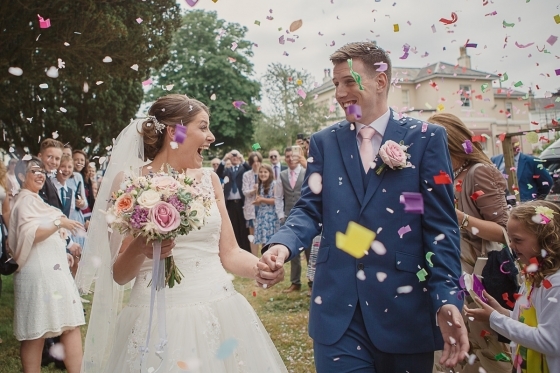 This fabulous spring/summer wedding showcase on Sunday 4th February (11am – 3:00pm) will offer brides and grooms-to-be the chance to meet some of the south west's best wedding supp. 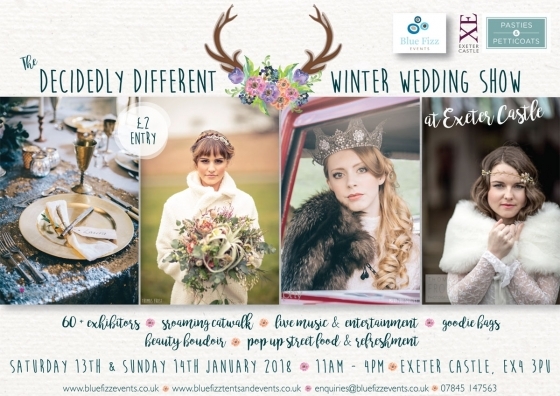 . .
Expect a dazzling wedding planning spectacular with The Decidedly Different Winter Wedding Show, which returns for its fifth annual outing at Exeter Castle on Saturday 13th & S. . . 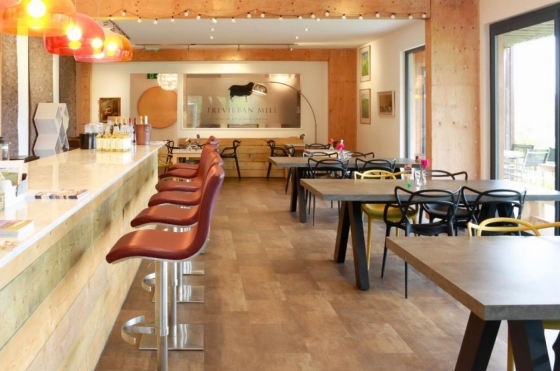 Following on from the success of the Red Brick Barn and Really Rustic Barn, five star luxury wedding venue, The Green Cornwall has been hard at work again giving the Green Room Bar. . . 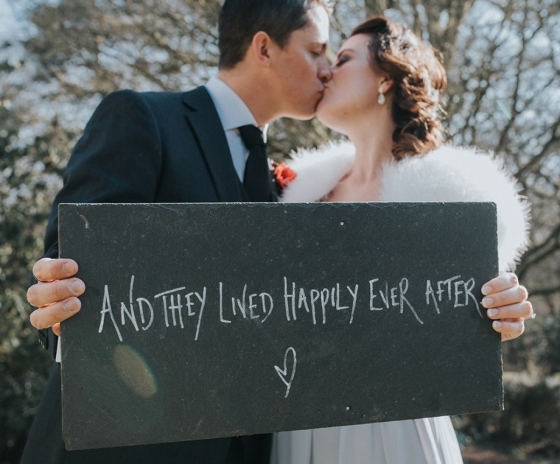 Shot at beautiful new boutique hotel and exclusive wedding venue, Paschoe House, near Crediton in Devon, this stylish art deco-inspired shoot shows how such a spellbinding setting . 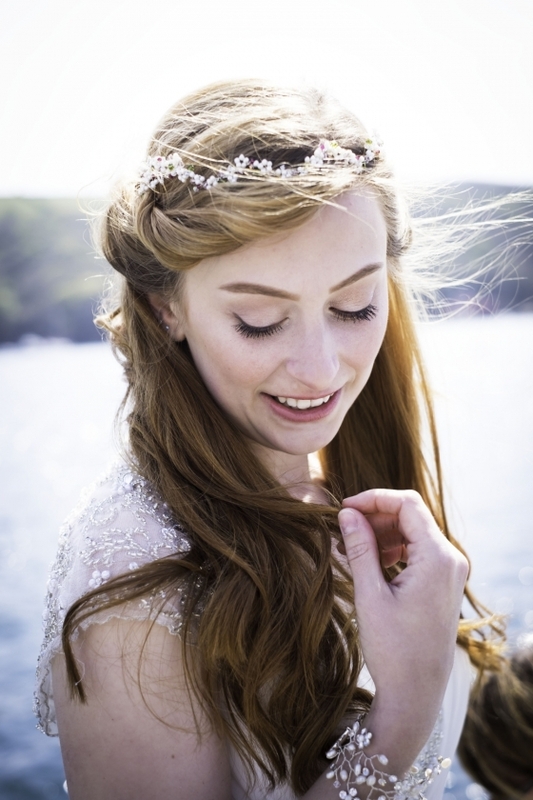 . .
Ditch the Christmas shopping and hot foot it to Truro's spectacular Bridal Quarter for a different and utterly dazzling stint of shopping instead courtesy of The Bridal House of Co. . . 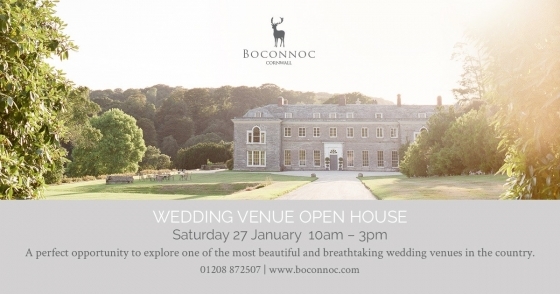 Explore one of the most unique, beautiful and breathtaking wedding venues in the county and beyond by visiting this not-to-be-missed event on Saturday 27th January (10am – 3pm). 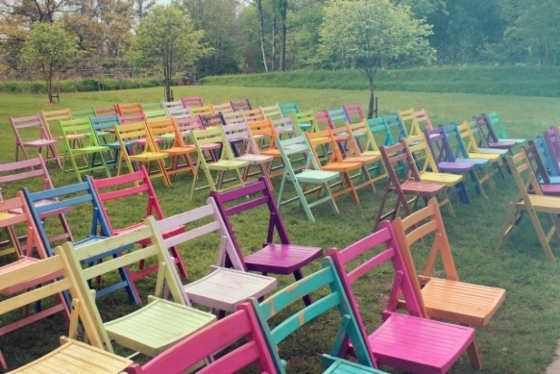 . .
Let's face it, with a summer wedding - you're not always guaranteed the sunshine, but with an autumn celebration you can be sure the season will deliver a rich and colourful backdr. 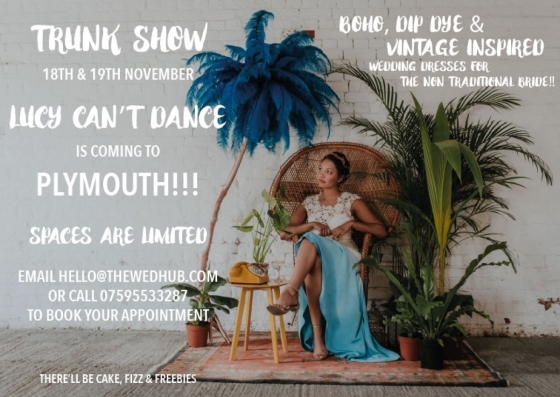 . .
We're getting very excited here at Wed about a brand new event set to hit the region's wedding industry calendar.Cornish based female entrepreneurs Hazel Parsons, from Hazel Parson. 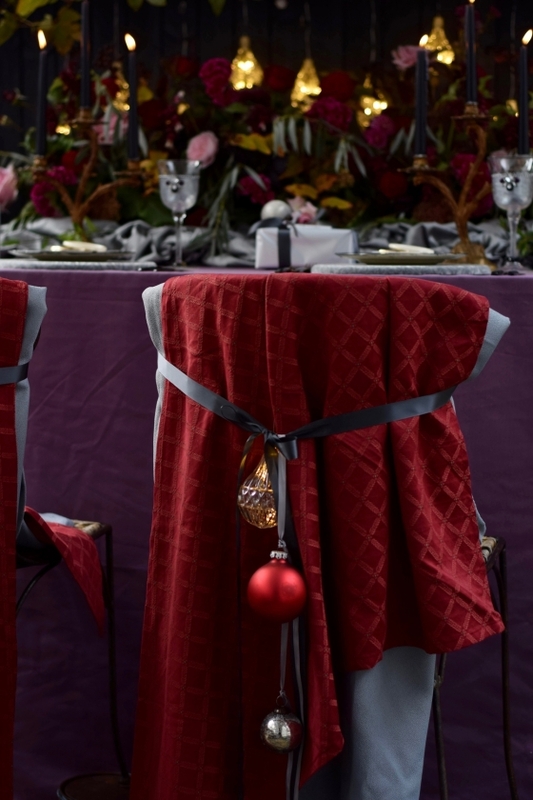 . .
Don't pay attention to every detail of your day but forget one of the main features of the dining experience: your table tops.From the dress code and flowers to lighting, venue and. 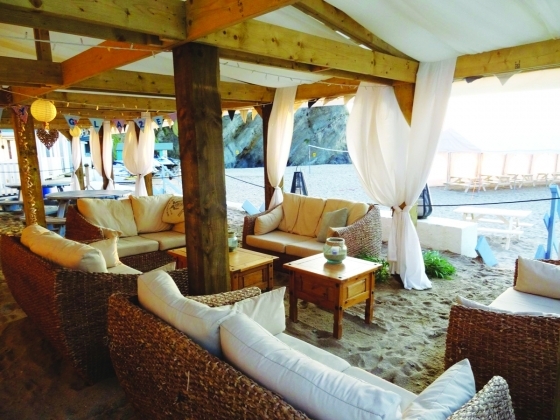 . .
Three awards in one week for Ocean Kave! 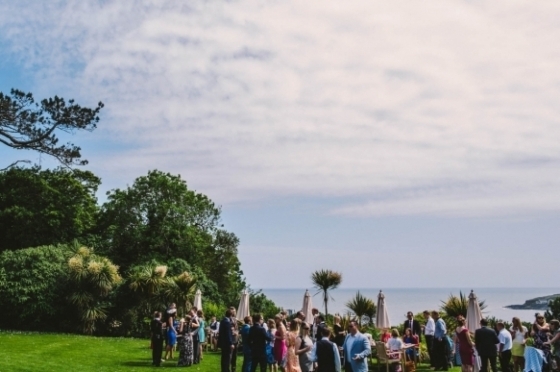 One of Devon's most stunning wedding venues, Ocean Kave, has scooped not one - but three coveted awards: Trip Adviser Awards of Excellence (for the fifth consecutive year), TWIA Re. . . If you're seeking a dreamy bridal gown, don't miss the Catherine Deane trunk show on 5th and 6th January at The Ivory Secret in Crediton, where brides-to-be can. . . 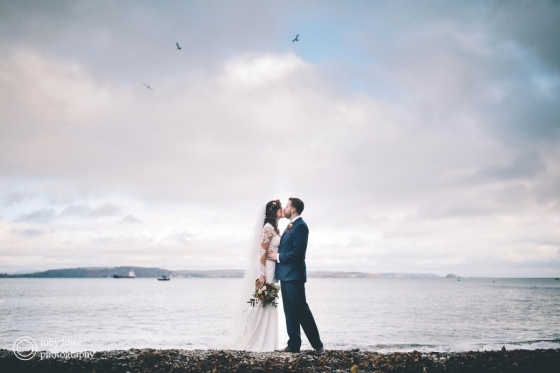 Capture Cornwall's wild spirit along with all the romance of a sea-gazing, windswept wedding outdoors by staging your celebrations at The Roseland's breathtaking new venue, Five Ac. . . 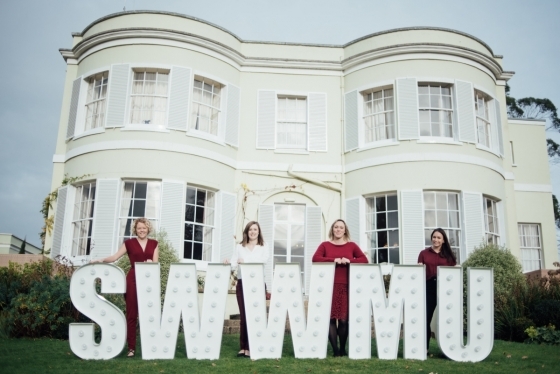 Check out this photo shoot from Mimosa Photography at The Duke of Cornwall Hotel in Plymouth, where a palpable sense of luxury combines with an uber pretty pastel palette and eye-c. . .
Another week in wed world and another stun-ing set of images to swoon over!As our gallery shows, weddings in the south west continue to be an inspired, style-packed and uber romant. 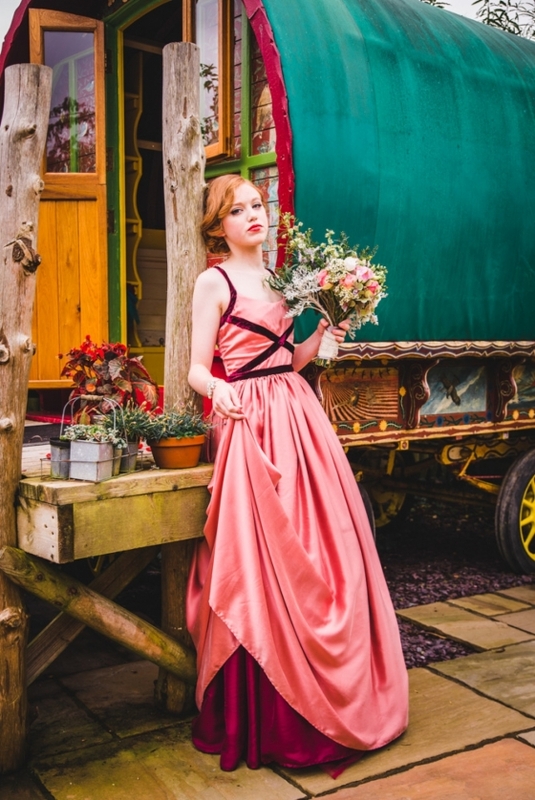 . .
Any bride-to-be wanting to swoon over some spectacular dresses shot against a beyond-beautiful backdrop - then look no further, for our recent fashion shoot in the latest issue of . . . Photography and filmmaking specialists, McKinley-Rodgers are currently running a special offer to capture your day with both still and moving images by combining their services in . 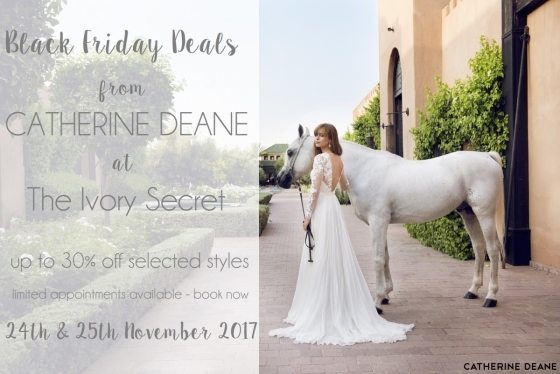 . .
Don't miss The Ivory Secret's brilliant Black Friday discounts this Friday 24th and Saturday 25th November, where brides ordering a Catherine Deane gown will receive up to 30% off . . .
Join jeweller designer-maker Emily Nixon and friends at this special Open Studio and Christmas Showcase event on Saturday 25th & Sunday 26th November for a fabulous festive tre. 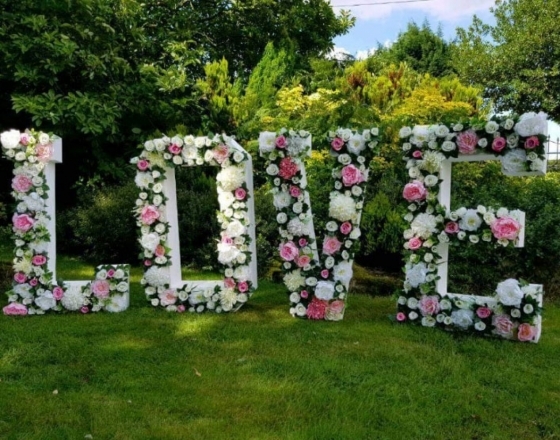 . .
For an extra dose of the wow factor, these spectacular new love letters from Flourish are just the top-trending ticket.The fabulous 4ft floral centrepiece packs an elegant and glam. . . 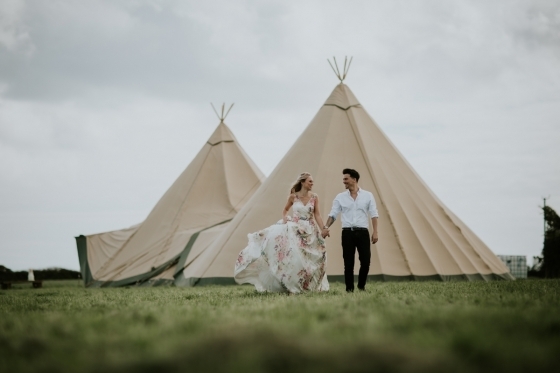 Anyone dreaming of a tipi wedding will certainly feel inspired by this recent shoot in Devon, where a carnival of colourful detail meets gorgeous boho style bridal fashion to exqui. . . Create a unique and show-stopping backdrop in your celebration space with Your Top Table's latest must-have: a hidden illuminated 'love' sign.Simply flick a switch and voila, a fab. . . Forget sending your own for a minute, as here's one special save the date you'll definitely want to know about: Amica Bridal's Black Saturday event on 25th November - where an incr. 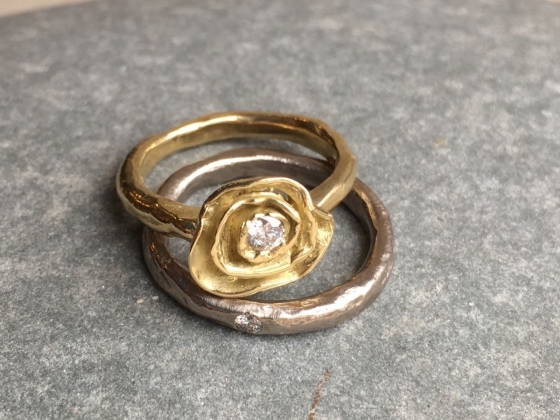 . .
Jewellery designer-maker extraordinaire, Justin Duance, is hosting a special sale in his etsy shop, meaning couples can covet their own piece of his grand craftsmanship at a brilli. . .
As most brides know, it’s the little details that bring a look together – and the all-important wedding outfit is no exception. 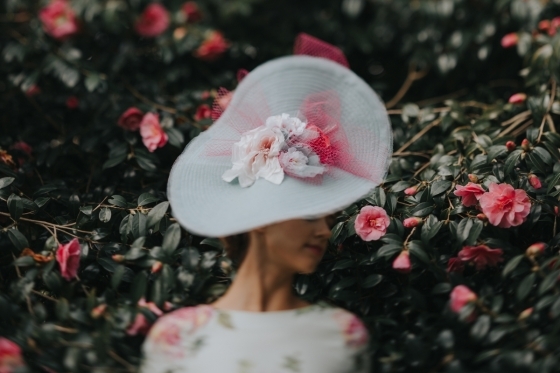 Fascinators, hats and all things headwear are about . . . 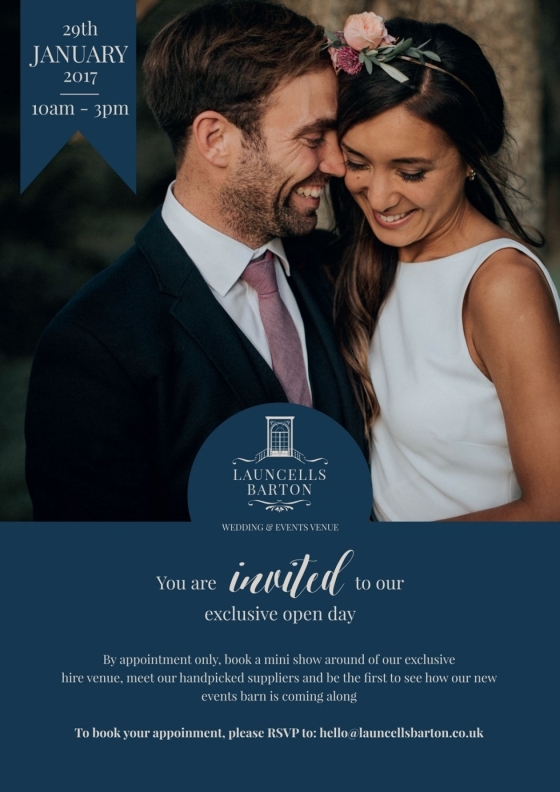 Witness the spectacular sight that is Langdon Court in all its glory during this not-to-be-missed planning event on Sunday 26th November (1pm-4pm), where couples can enjoy a . . . 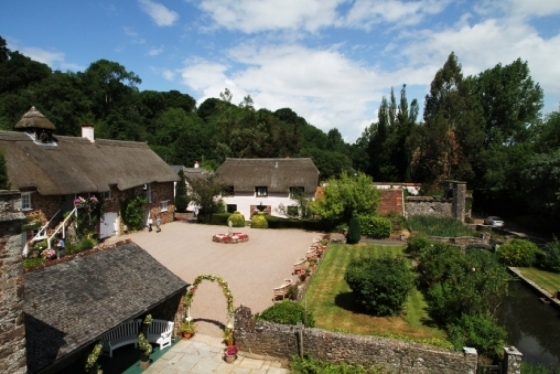 Still looking for that dreamy wedding venue in Devon? 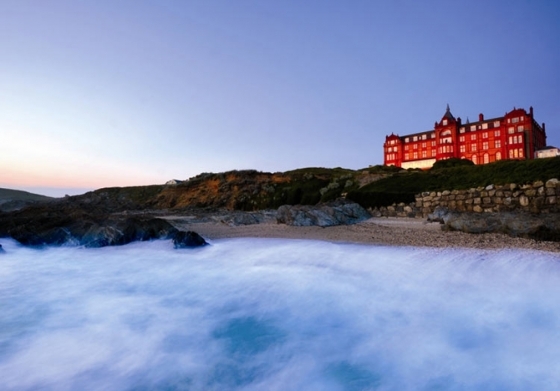 Fancy a slice of grandeur and luxury at one of Plymouth's most historic hotels? Then look no further than The Duke of Cornwall. 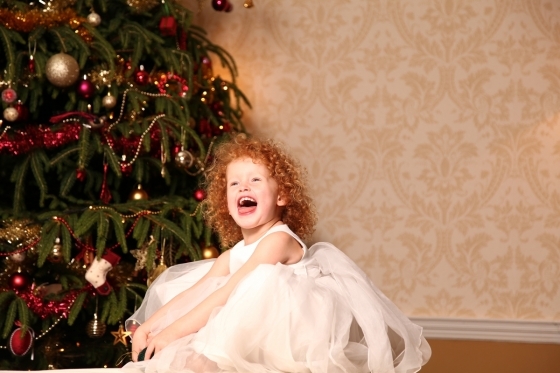 . .
Black Friday isn't just about bagging a Christmas gift deal, as brides-to-be can snag a designer gown at a fabulously discounted price courtesy of The Bridal Room St Ives' brillian. . .
Redefining the definition of dreamy when it comes dress styles, Annasul Y's latest, absolutely stunning collection is seriously swoon worthy stuff - and can be admired in all its d. . . Already known as one of the area’s premier wedding venues, Launcells Barton has just added a beautiful barn to its grounds.The brand new, purpose-built Reception Barn complements t. . .
For brides seeking something utterly distinctive for their wedding wears, then hot foot it to the latest Lucy Can't Dance Trunk Show, which will be heading to Plymouth on 18th and . . . Whether you're deliberating whether to hire a videographer or seeking some inspirational footage from a recent wow-worthy wedding, then this highlights reel from talented film make. 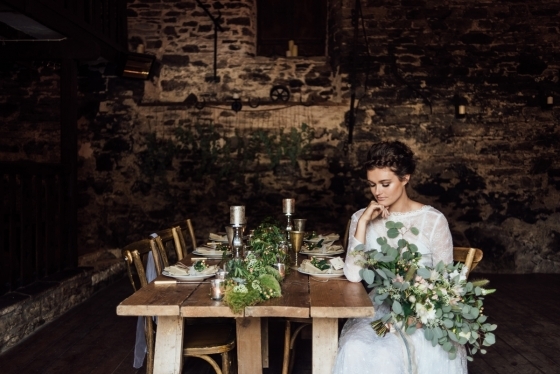 . .
Whet your appetite for all things wedding as you gaze at the gallery of images from this inspirational shoot at Lower Barns, one of Cornwall's most unique and character-filled venu. . . Hot foot it to Pirouette for their one day only sample sale on Sunday 26th November, where to brides-to-be can bag a bargain designer dress and accessories to suit!Filled with a fa. . . 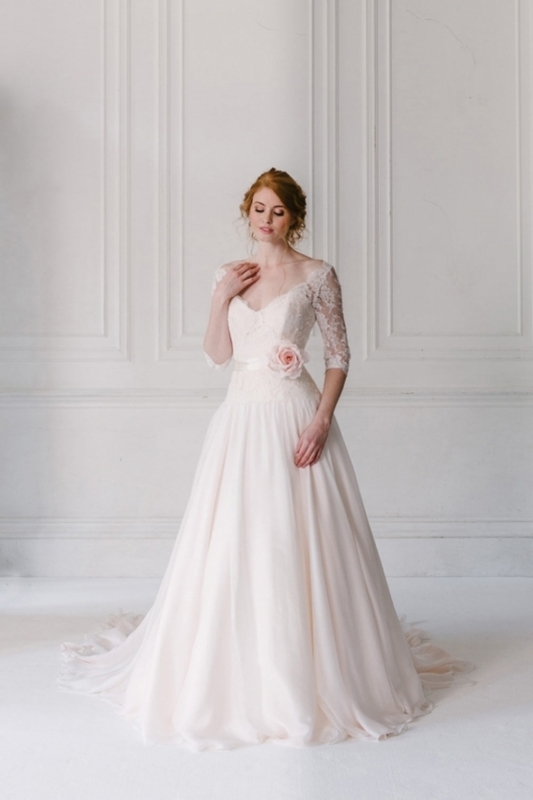 Taking stock of the gorgeous new Kelsey Rose White Collection, Truly Delightful Bridal in Totnes is brimming with beautiful bridal wears from some of the world's most lusted-after . . .
New Wed Cornwall out now! 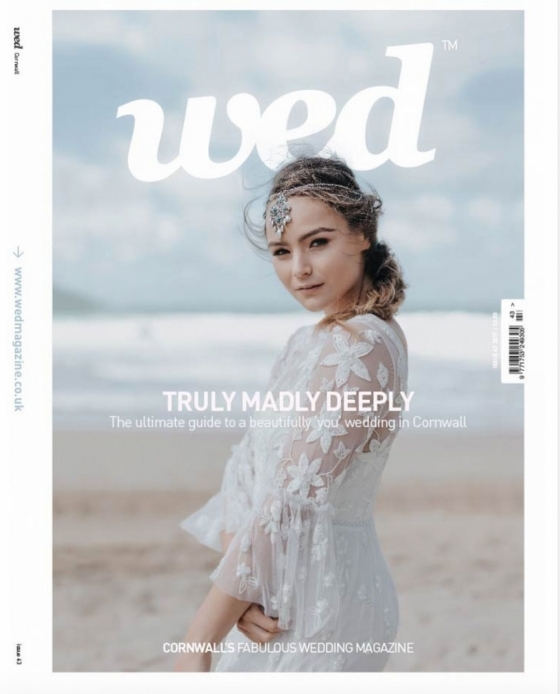 What a fabulous autumnal treat for all you engaged folks - the brand spanking new issue of Cornwall's must-read wedding magazine!If you're struggling with exactly where to start wi. 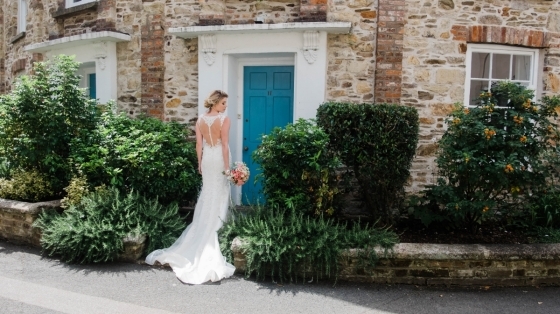 . .
Cornwall’s longest standing bridal boutique, County Cream, has undergone a brand revamp, changing the name to Elaine Rawlings Bridal Boutique and releasing an all-new look to compl. . . Check out this recent beauty shoot where a toned-down and natural palette of make-up combined with gorgeously relaxed hair dos for a strikingly simple, yet utterly romantic bridal . . . Brand new wedding venue, Cornish vineyard Trevibban Mill have re-launched the Winery Bar - a warm and welcoming space to enjoy their selection of award-winning wines, cider and a r. . .
What's not to love about a wedding by the sea, or at least - one inspired by our stunning coastal surrounds?Shot at the gorgeous Duke of Cornwall Hotel in Plymouth, this styled sho. . . 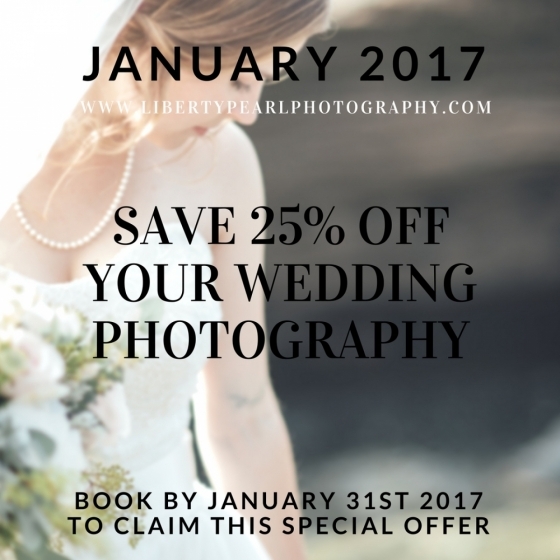 Celebrating their fourth year in business with a brilliant promotion for Wed readers, Liberty Pearl Photography is offering 25% off their full-day wedding photography packages book. . .
Fairground fun at Tremorna Farm! 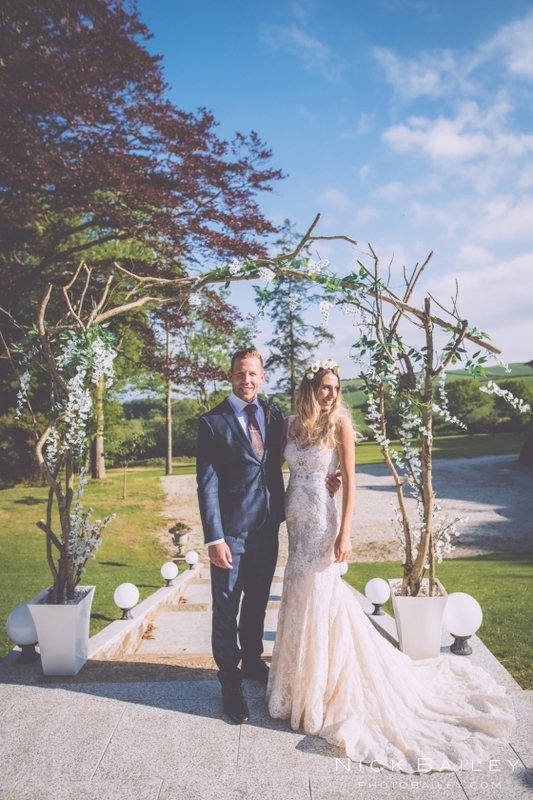 Situated in 65 acres of unspoilt farmland, the exclusive west Cornwall venue of Tremorna Farm is the perfect place to host a festival style wedding. Working closely with coupl. . . 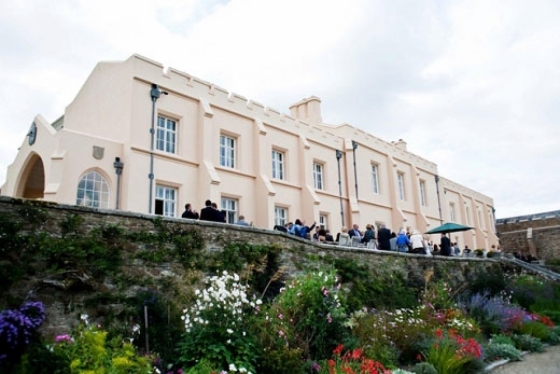 Liven up this weekend (Saturday 21st & Sunday 22nd October,11am – 4pm) with an outing to one of Devon's most dazzling wedding venues for an exciting event set to spark the ima. 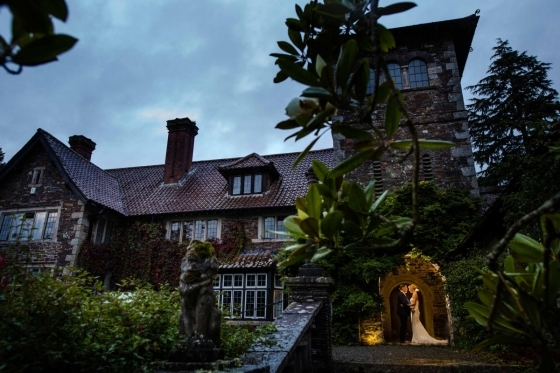 . .
For a planning event and day out with a delightful difference, visit the Bickleigh Castle Open Day this Saturday 21st October (11am - 4pm), where a fabulous world of wedding inspir. 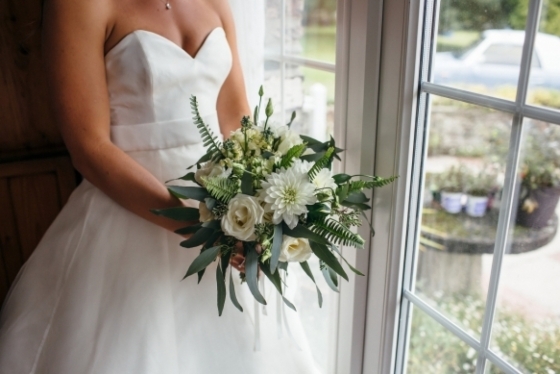 . .
A date for the diary for all brides-to-be! The Bridal Room St Ives is staging an unmissable and exclusive fashion event from 19th - 21st October, where for three days only they'll . 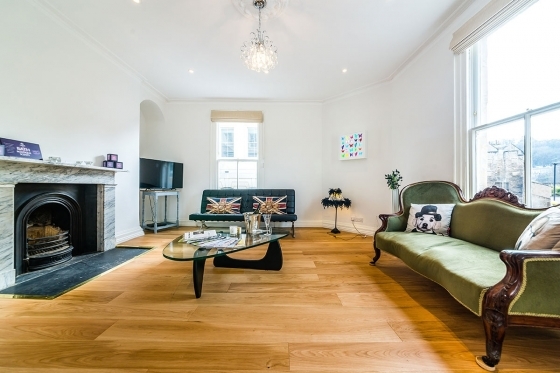 . .
10% discount on bookings at The Fernery! 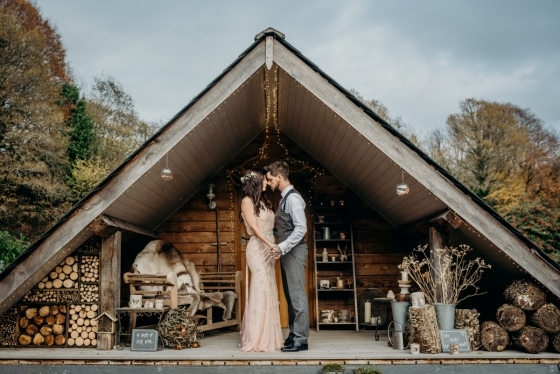 Whether you're dreaming of a lavish north Devon honeymoon or wish to put your nearest and dearest up in some seriously swoon- worthy accommodation for your wedding date, The Fe. . . Become enchanted by one of Cornwall's most magical wedding venues during this not-to-be-missed planning event on Sunday 22nd October (11am – 4pm) that's set to inspire and ente. . . 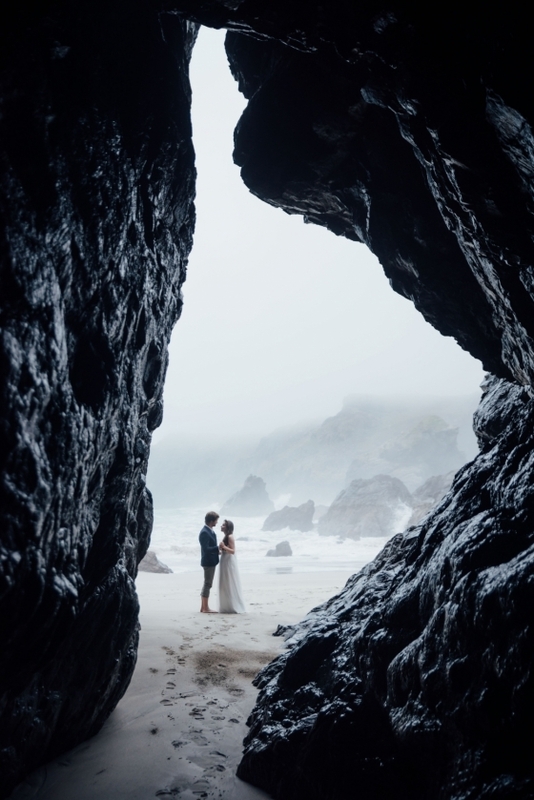 Check out this awe-inspiring shoot at Cornish Tipi Weddings, where beautifully bespoke design meets spectacular natural scenery to exquisite effect.Capturing the soul-stirring sens. 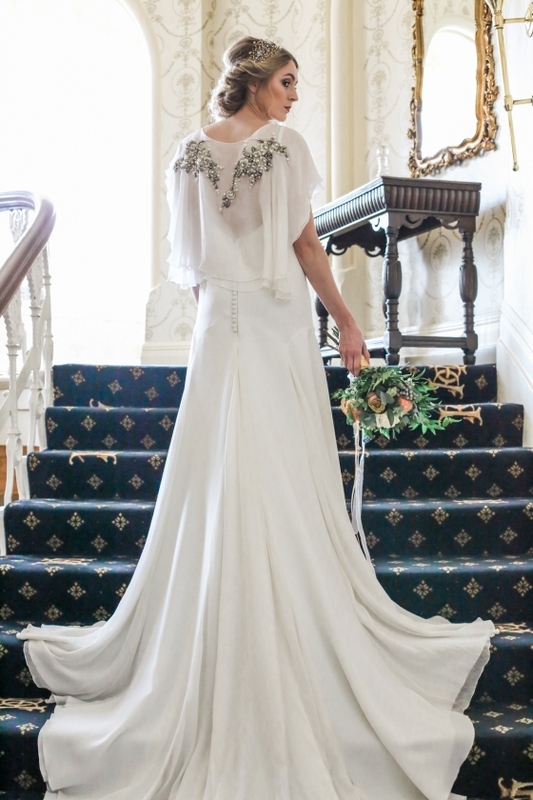 . .
Brimming with bridal loveliness, The Bridal Room St Ives is home to a heady array of designers including Eliza Jane Howell, Jesus Piero, Sassi Holford, Watters, Chantel Lauren, Cha. 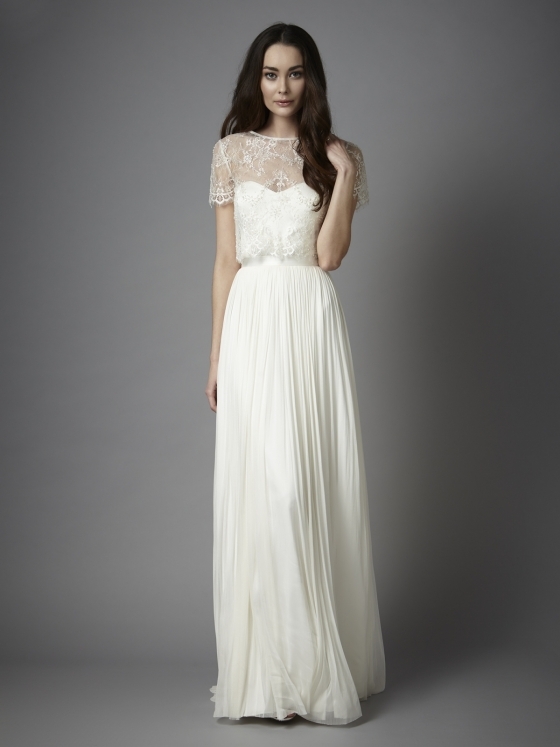 . .
New collections land at Kate Walker Bridal! Calling all brides-to-be on the hunt for their dream dress...Kate Walker Bridal has just taken stock of some seriously swoon worthy gowns!Home to stunning ranges from Augusta Jones. . .
Welcoming a stunning selection of the hottest frocks into their Torquay boutique, The Bridal Rooms of Wellswood has taken stock of some jaw-droppingly gorgeous new gowns from Eliza. . . Some wow-worthy new bridal labels will soon be gracing the rails of Lovely – making the Honiton boutique a must-visit for brides seeking their dream dress. Described as ‘boho chic . . . 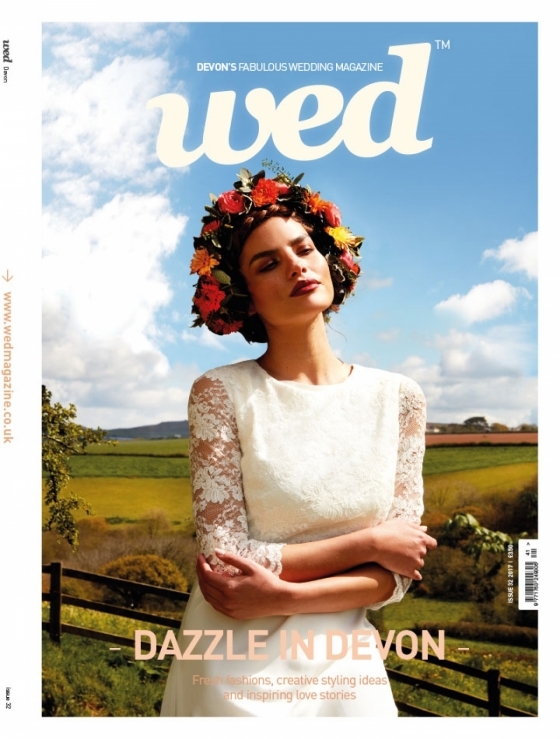 It's here folks - the latest and most fabulous issue of Devon Wed magazine! Our annual style special is set to deliver oodles of inspiration to all couples in the throes of p. . . Prepare to set the swoon factor to an all-time high as the new season dresses arrive at The Ivory Secret, giving brides a heady choice of fashion-forward frocks to pick from.Welcom. . . 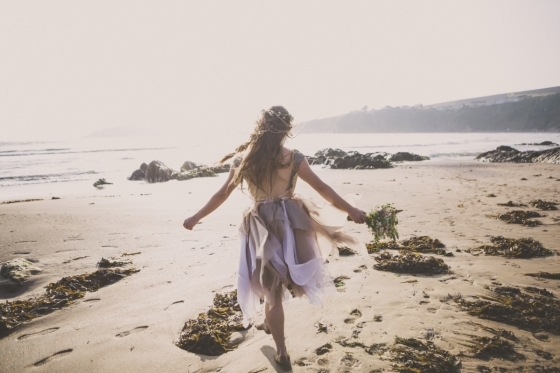 Calling all brides with a penchant for bohemian style - check out this gorgeous editorial shot on the stunning coast and featuring the most lusted-after looks that personify the mo. . . 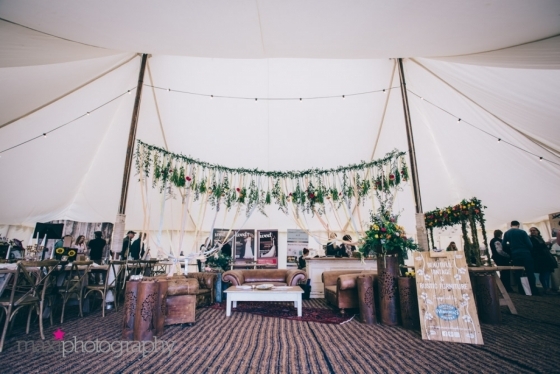 Fantastic florists and styling specialists Flourish are pleased to present a brand new product from their brilliant range - a gorgeous rustic arch that is now available to hire.It . . . Whether you're freshly engaged or figuring out the more last minute details when it comes to hair, make-up and jewellery - this gorgeous shoot will provide oodles of inspiration, e. . .
Roam north Cornwall's unique and utterly enchanting coastal venue on Sunday 15th October (11am - 3pm), where a sense of old world charm meets contemporary luxe and, of course -. . . Win a hot air balloon flight! 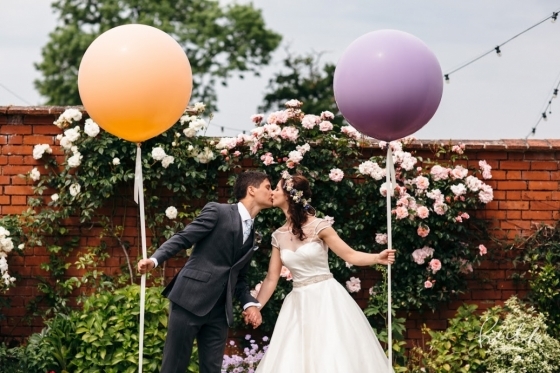 A Most Marvellous Wedding Experience​ are pleased to host their 'Up, Up and Away!' competition for an engaged couple to win a hot air balloon flight complete with champagne f. . .
Wow - what a week in wedding world! There's been a bit of everything this week: gorgeous nuptials dressed with seasonal country blooms; sun-kissed celebrations on the shores . 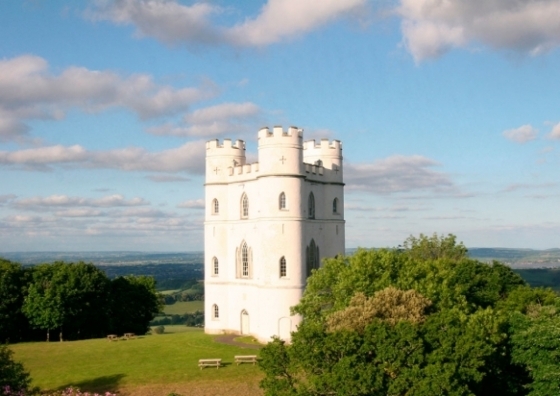 . .
Don't miss the Haldon Belvedere Wedding Fair this Sunday 24th September (12pm to 5pm) for a planning day out with a wonderfully distinctive difference.Whether you are thinking of h. . . 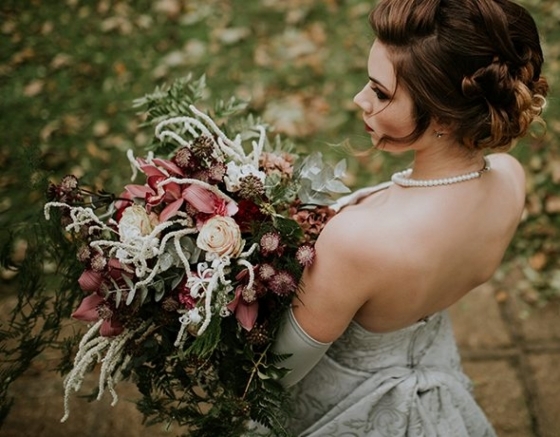 Check out this inspired winter wedding styled shoot by Hannah Taylor, who combines a warm seasonal mixture of shades using a range of details to enchanting effect.From flowers gath. . . 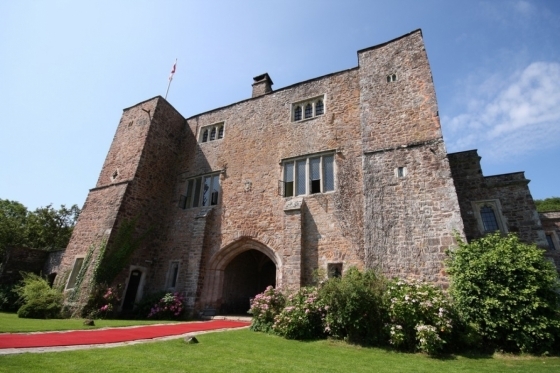 Unique wedding venue, Pengersick Castle is celebrating their first year of weddings by offering a 20% discount* to any new bookings made before 31st October 2017. The wonderful. 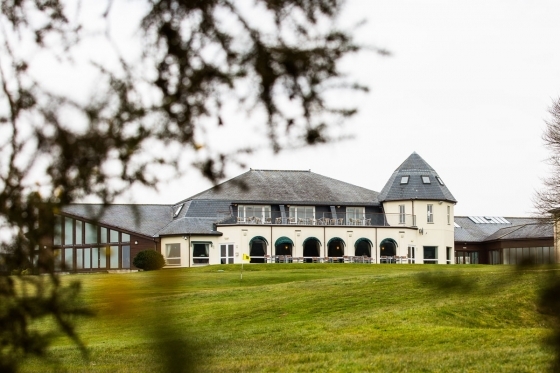 . .
Any couples considering a whirlwind wedding might want to take advantage of The Headland Hotel's latest offer, which presents a spectacular package for various last minute dates th. . . 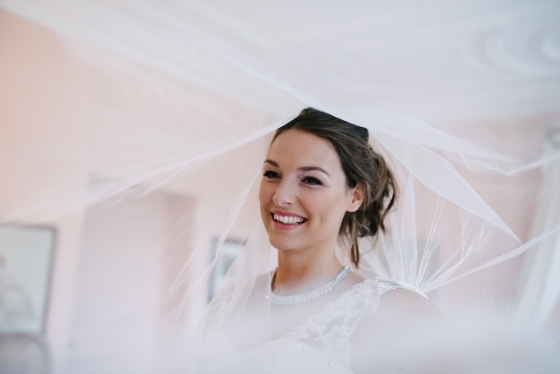 Ecstatic bride wins hen competition with Bath Boutique Stays! One lucky Cornish hen has the pre-wedding party of a lifetime already sorted, having won our competition with Bath Boutique Stays to enjoy a special sleepover and treats at one of . . .
A London base for Peboryon! 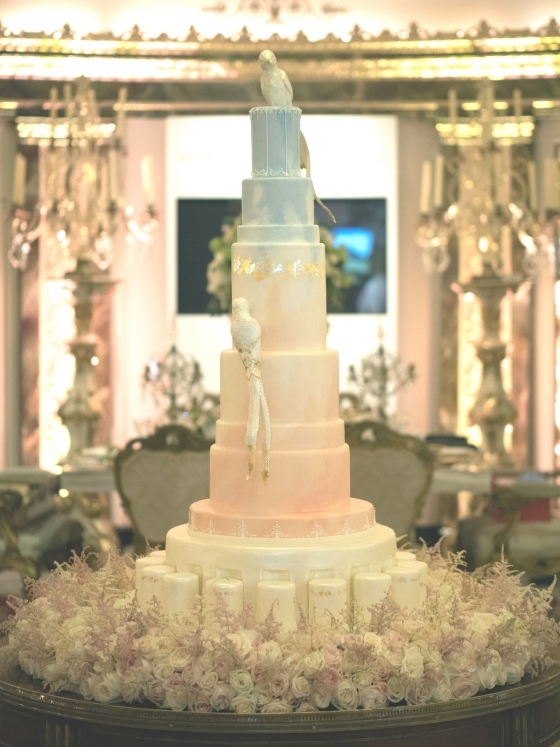 Award-winning wedding cake specialists, Peboryon, are pleased to announce a brand new and permanent base in London for couples to view their showstopping craftsmanship at the capit. . . 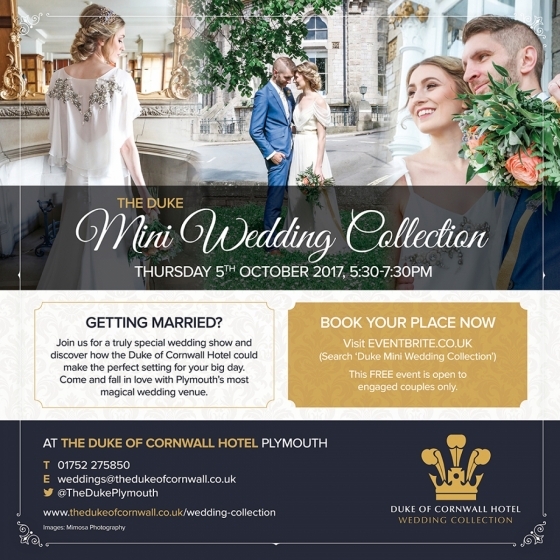 The Duke of Cornwall is opening its doors to all brides and grooms-to-be on the hunt for their wedding venue on Thursday 5th October (5.30-7.30pm), which will be showcasing wha. 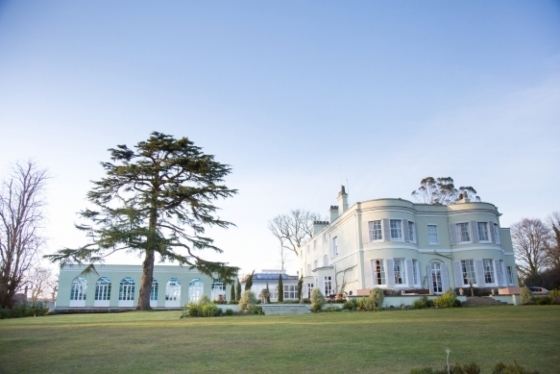 . .
Expect a wedding extravaganza at one of Devon's most spectacular venues at the Deer Park Country Hotel Botanical Gardens Wedding Fair on Thursday 28th September (6.00pm – 8.30pm), . . . 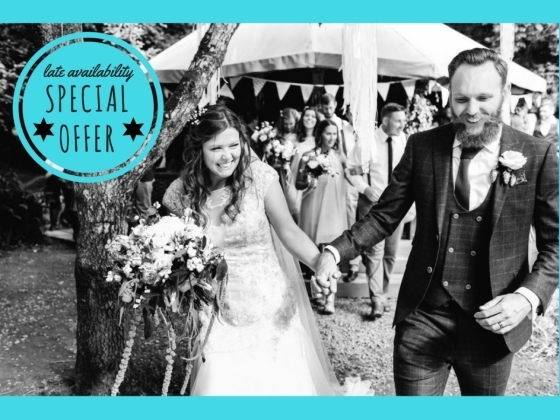 If you still haven't booked your wedding photographer and are planning an utterly distinctive day, then you may wish to take advantage of Thomas Frost's fabulous latest offer: up t. . . 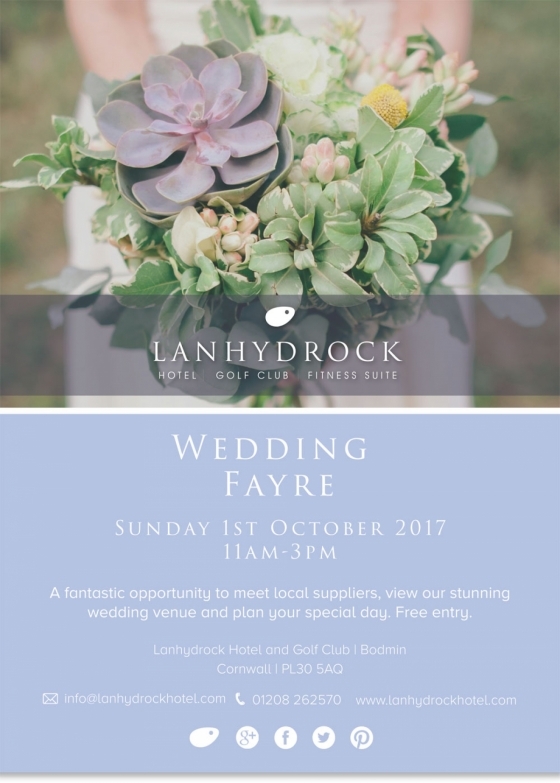 Explore the stunning venue of Lanhydrock Hotel and Golf Club on Sunday 1st October (11am-3pm) as you meet a selection of local suppliers who will be on hand to help you plan th. 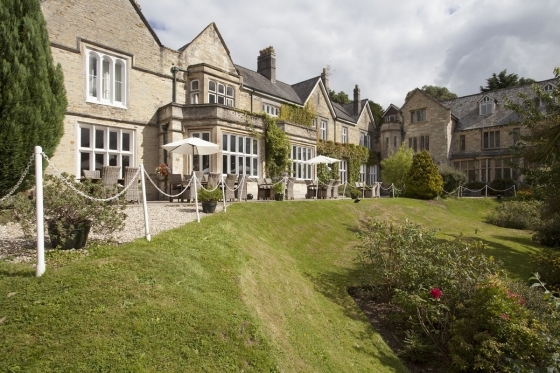 . .
Fabulous wedding venue, The Alverton Hotel in Truro has been busy making waves in the foodie and hospitality worlds by recently gaining four AA Silver Stars, while also retaining i. . . 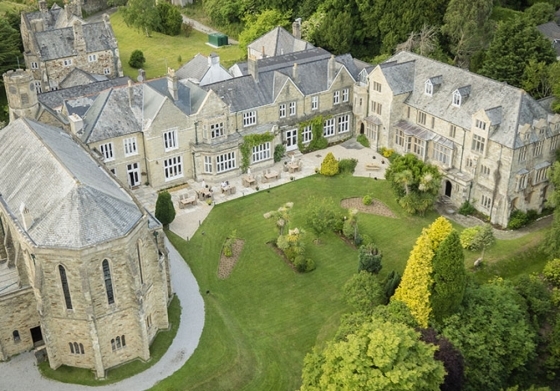 Situated in the spectacular rural heart of Cornwall near Bodmin, Lanhydrock Hotel & Golf Club presents a picturesque locale in which to wed.Whether you wish to say 'I do' durin. 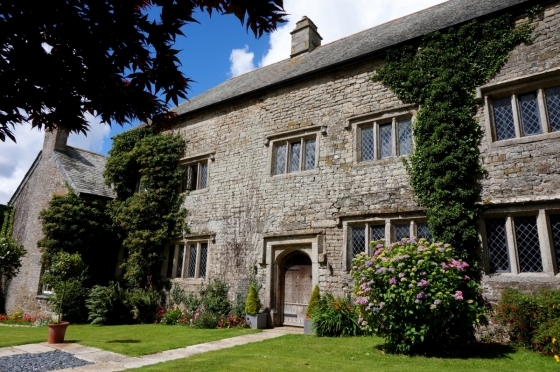 . .
For a fantastically fun wedding planning event, make sure you visit the beautiful Pengenna Manor for their fourth and much-anticipated, A Most Marvellous Wedding Experience on . . . 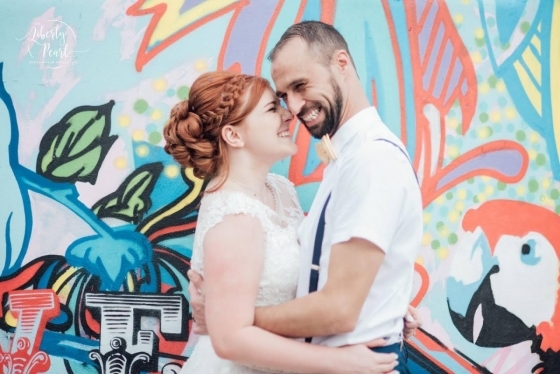 It seems like the fun factor is in full and fabulous force during this week's stunning set of weddings, with couples stamping their personality on everything from the dress to the . . . Put simply: wow. 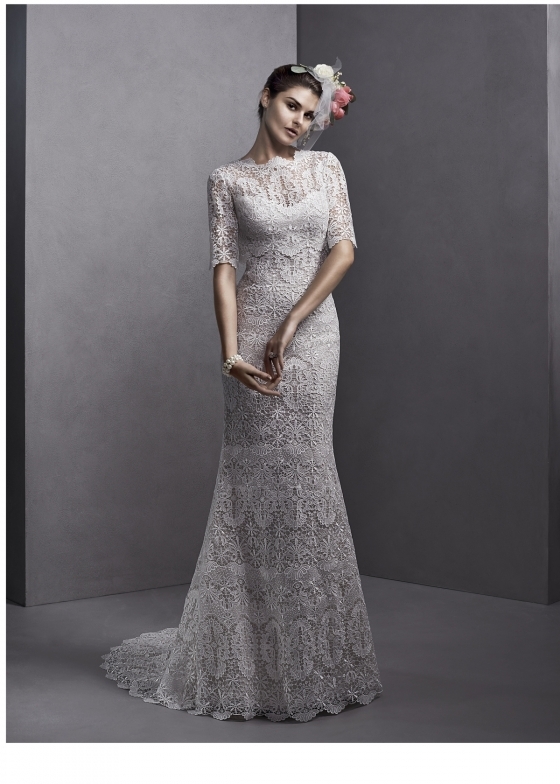 Suzanne Neville's exquisite latest collection has just found a new home at Plymouth's Sam Cox Bridalwear and is nothing short of absolutely stunning.The beyond bea. 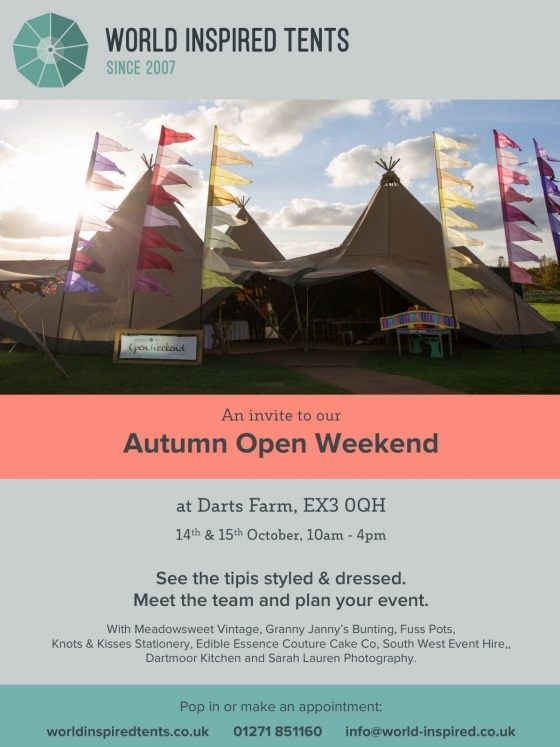 . .
Free your imagination in style by visiting this not-to-be-missed marquee planning extravaganza at Darts Farm on 14th and 15th October (10am-4pm), where you can step into the st. . .
Make a date in your diary for the Bridwell Park Wedding Open Day on Saturday 16th September (from 10am) to discover one of Devon's most enchanting exclusive-use venues that present. 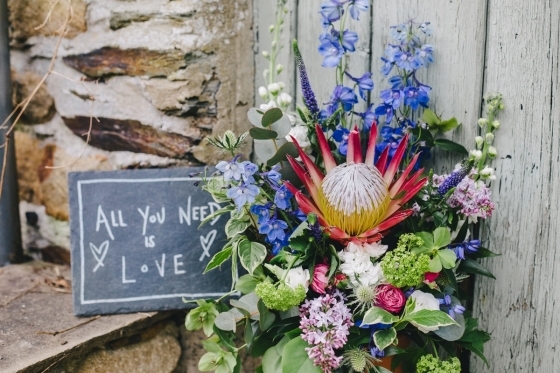 . .
Cornwall isn't just about its breathtaking beaches - there's a host of rural landscapes and world-renowned gardens perfect for inspiring the details of a sublime wedding day.Whethe. . . 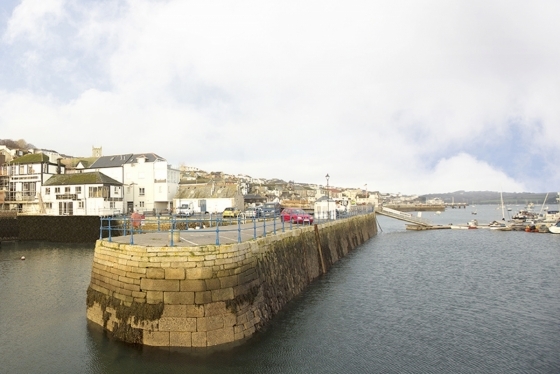 Situated in the beyond-beautiful town of Mevagissey overlooking the exquisite sights of the ocean and harbour, Polpier presents a majestic space to celebrate your love.And with 'fo. . . 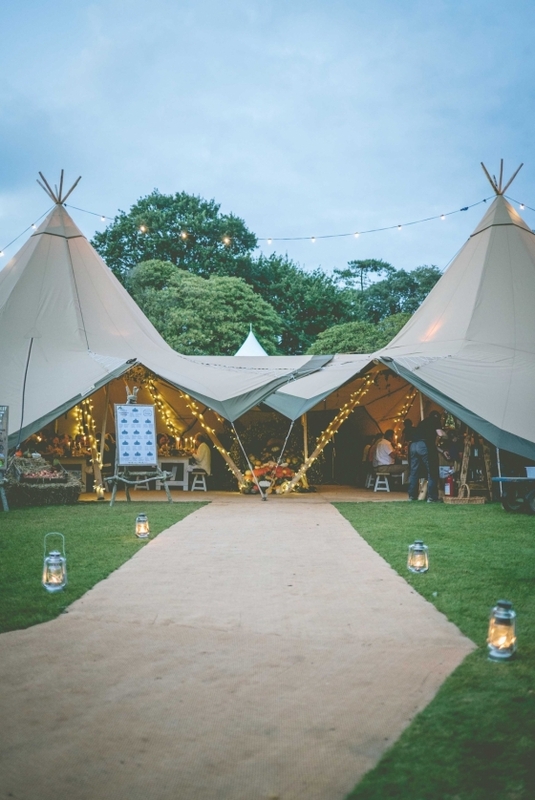 Creating ‘quirky, once-in-a-lifetime spaces designed perfectly for you’, the team at Wild Tipi Cornwall is dedicated to helping you achieve the vision of your canvas-wedding dreams. 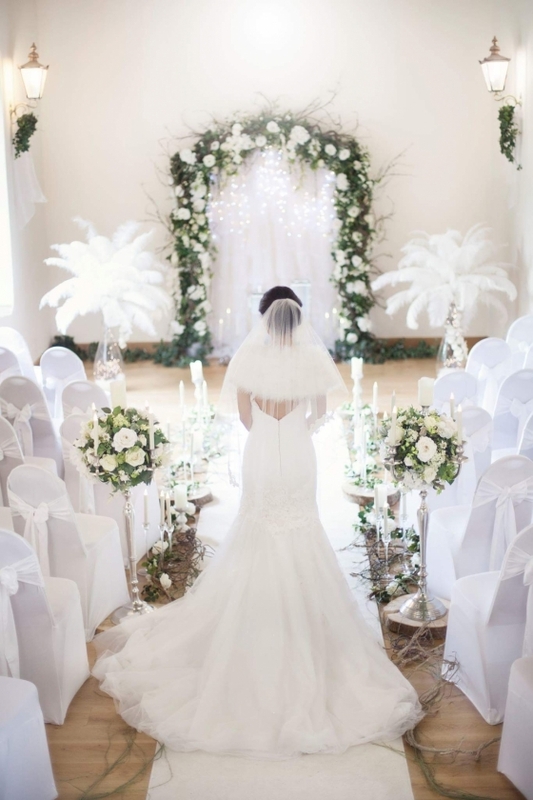 . .
Add a palpable touch of glamour to proceedings with some gorgeous silk flowers, trees and arches courtesy of the fabulous floristry creations of Flourish. Providing eye-catching al. . . Hot foot it to the stunning realms of Champagne & Charlotte for their not-to-be-missed event: the Stephanie Allin Trunk Show from 25th-28th August (10am-5pm).Giving brides-to-b. . .
Pirouette are pleased to announce their latest special offer: as a thank you to customers, they're giving a 10% discount off any accessories - including Rainbow Club shoes, and vei. . .
And what a week it's been! 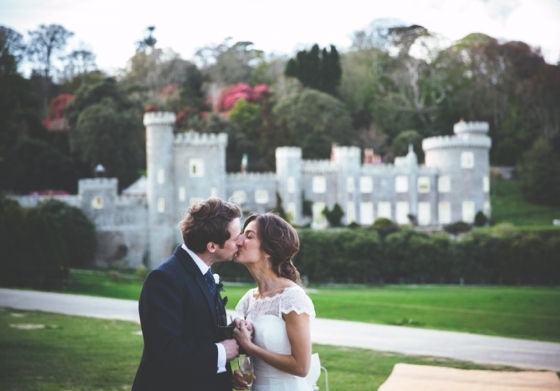 Prepare to feel the love from this stunning showcase of recent weddings across the south-west, where a beautiful mix of character-filled events continue . . .
We've got something that's guaranteed to add some sunlight to your day: the latest issue of WED Cornwall magazine! To get your copy, visit one of our fab stockists (WH Smith, Sains. 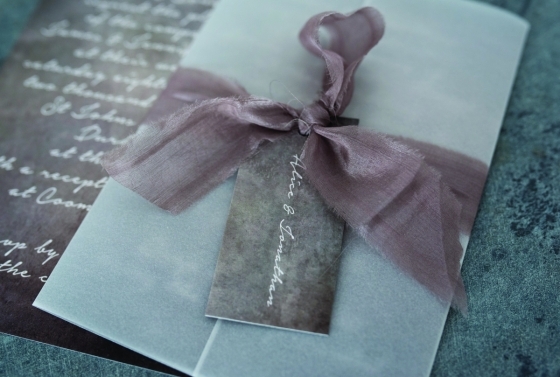 . .
Devon-based stationery studio, Knots & Kisses, has launched a series of stylish new ranges in their Luxe Collection for couples seeking creative and oh-so covetable paper prett. 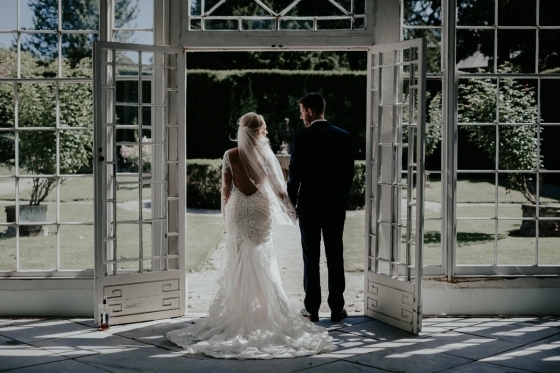 . .
Tucked away in idyllic parkland on the edge of the city, Exeter Golf and Country Club is a scenic and versatile wedding venue, offering picturesque panoramas, delicious food and th. 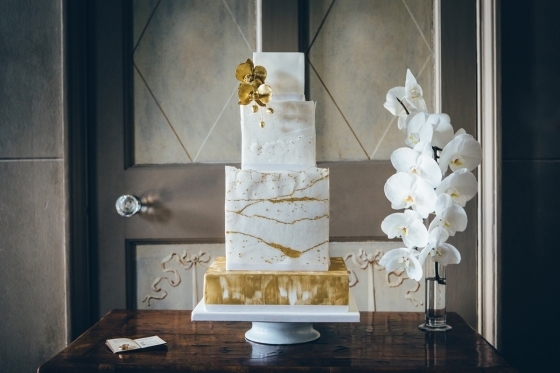 . .
Share centre stage on W-day with a showstopping wedding cake from Poshcakes. 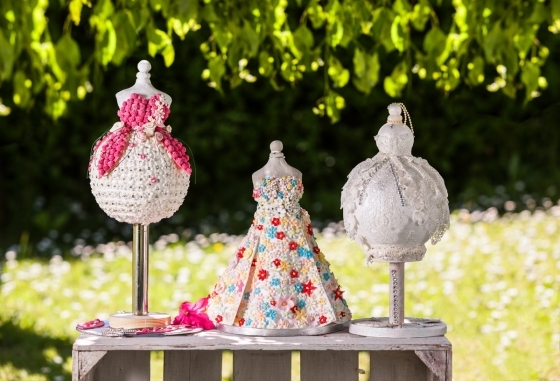 Based on the edge of Dartmoor, talented cake designer Lindy Adams Foster blends her love of art, fashio. . .
Fabulous flowers from Hannah Burnett! Seeking beautiful, bespoke blooms for W-day? 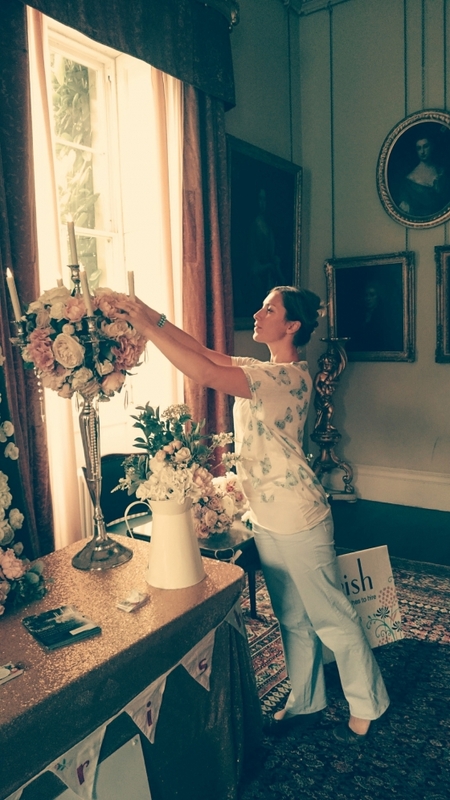 Based in Plymouth, Hannah Burnett offers a highly personal and brilliantly creative floristry service to suit every budget. 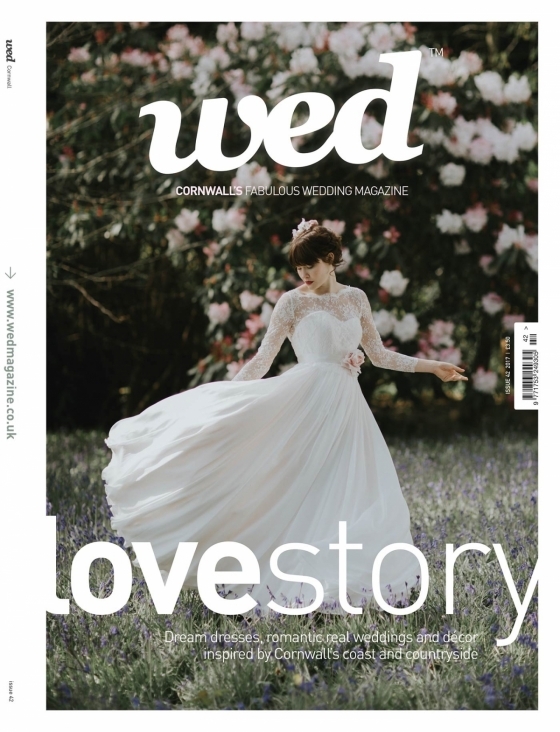 With over a. . .
We're going to spoil you with a sneaky peak of a dazzling real wedding from our latest issue of WED Cornwall magazine, where our fabulous Got Wed section is crammed with similarly . . . 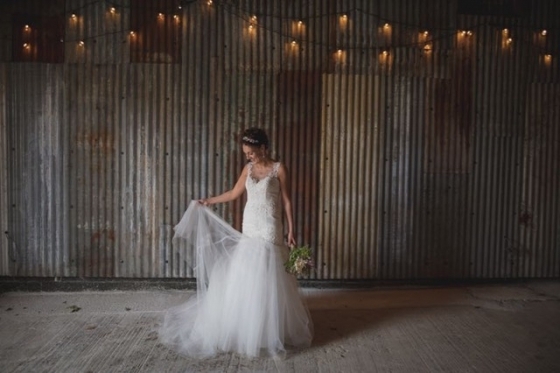 Prepare to be beguiled by this fabulous fashion shoot featuring some seriously swoon-worthy wedding looks from a wonderfully romantic era.The Last Days of Steam was shot on locatio. . . 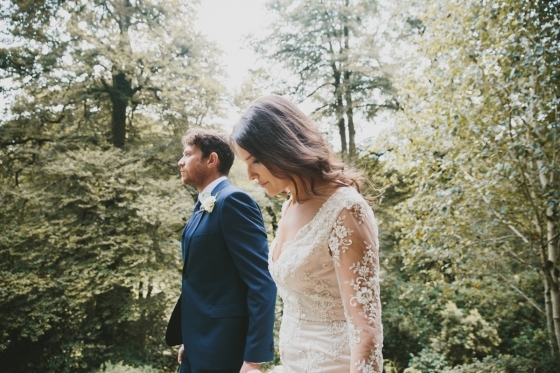 Fancy celebrating your love in the rugged and romantic heart of the Cornish countryside during an elopement wedding that smacks of pure escapism?Shot in the wonderfully secluded re. 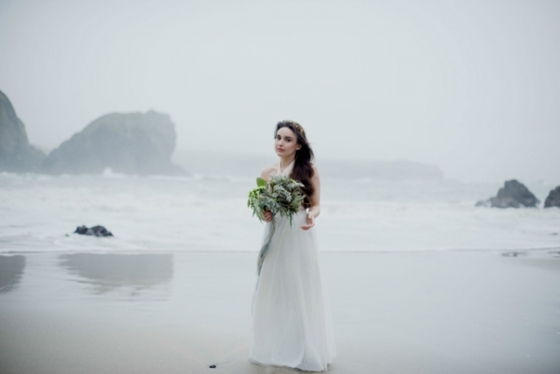 . .
An enchanting corner of Cornwall; brilliantly atmospheric Cornish weather; ethereal, organic and oh-so beautiful details - we adore this sublime styled shoot from Serpentine Shores. 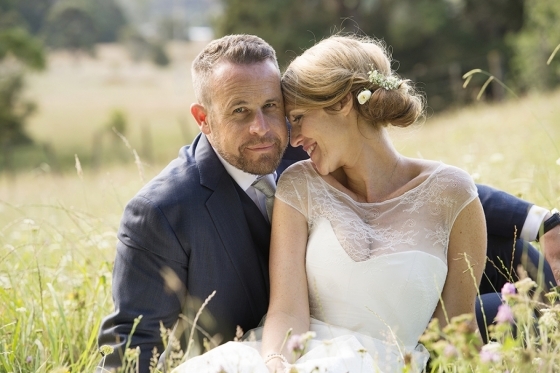 . .
Nikki form Devon jewellers Drakes explains how their brilliant wedding ring services are helping couples achieve the beautifully bespoke factor..."Whether you are looking for a sha. . . Hot foot it to The Bridal Room St Ives for their summer sale spectacular from 1st-15th August!With an array of dresses, veils, jewellery and shoes all with brilliantly discounted p. . . Calling all brides-to-be to Truly Delightful's exclusive fashion event: The Enzoani Designer Trunk Show from 29th July - 4th August.Lavish in the latest, fresh-from-the-catwalk Bea. . . 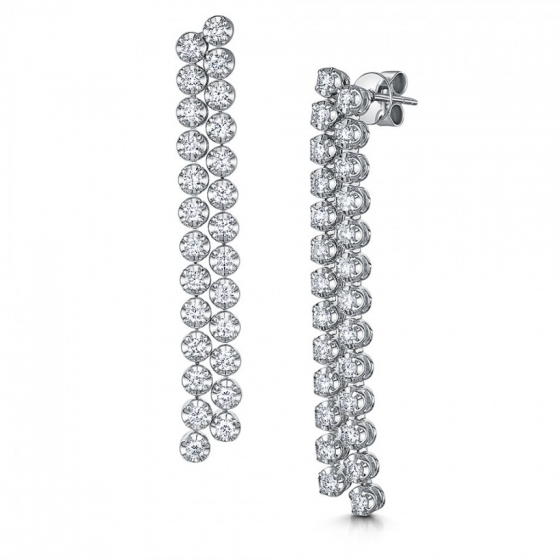 It's all about the finishing touches, so here Elle Simpson from Cornish jewellers, Michael Spiers reveals everything you need to know about the latest to-die-for looks for this yea. 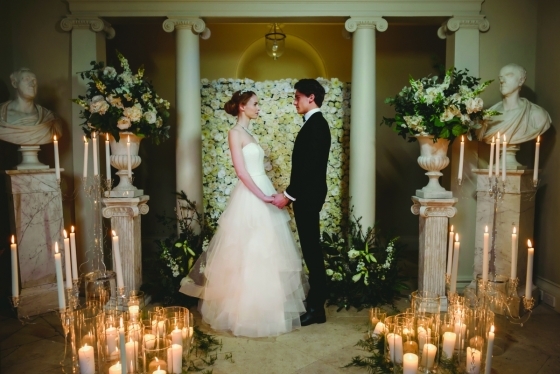 . .
Wow - what a week in wedding world! 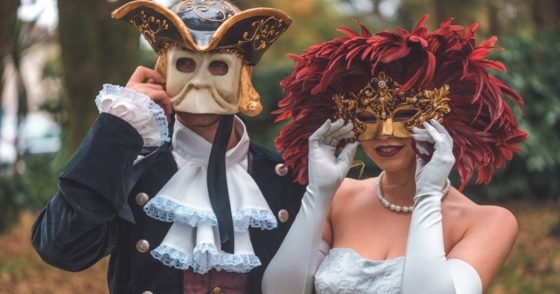 The season is clearly in full swing here with a plethora of loved-up parties across the south west at a gorgeous variety of locations and venues. . .
Any couples still deliberating what direction to go with their wedding photography may wish to take note: Thomas Frost is currently offering £200 off his wedding packages and . 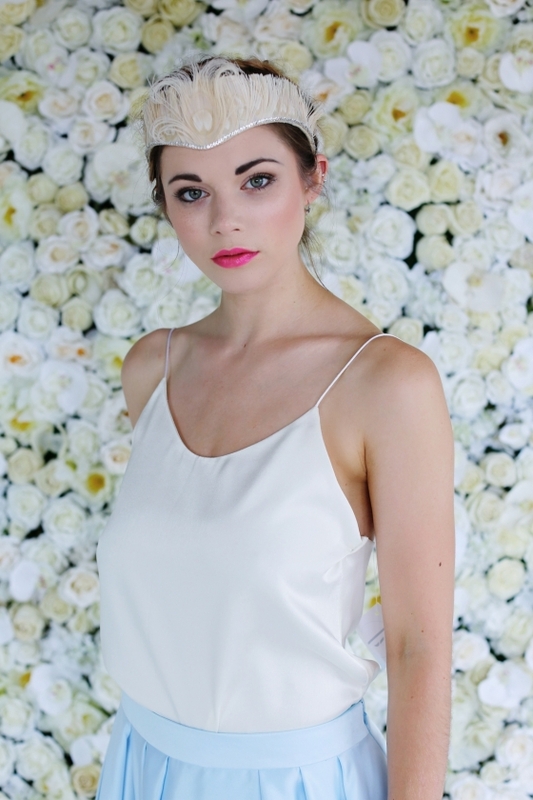 . .
Welcoming a dazzling new designer into their already swoon-worthy range, Sam Cox Bridalwear is pleased to announce that they've just taken stock of the utterly fabulous, Flora Brid. . .
'Festiveiling' with Holly Young Millinery at Port Eliot! 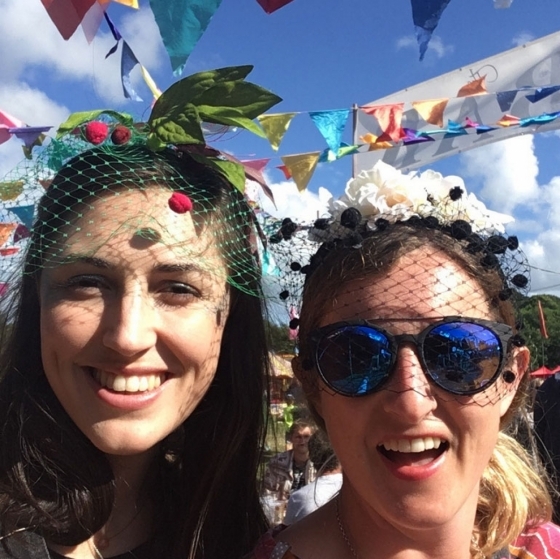 Fancy combining some festival culture with a fabulously hands-on stint of millinery? 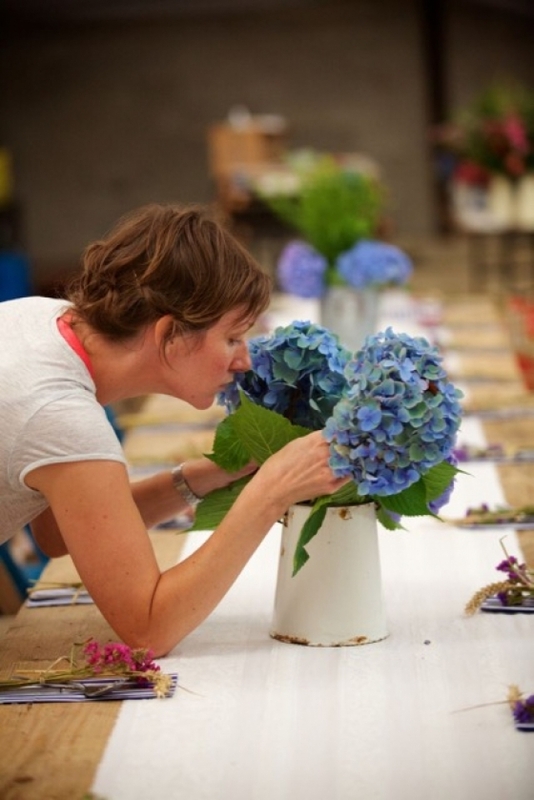 Holly Young will be staging a series of workshops at this year's ever-popular Port Eliot Festiv. . . Enjoy an afternoon at the uber picturesque, Pentillie for a planning extravaganza set to inspire couples with the latest looks, services and offers fresh from wedding world. Th. . . 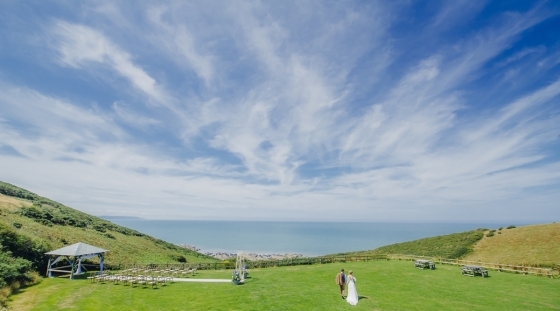 Looking for some luxe for your wedding at one of Cornwall's coastal venues? The Llawnroc Hotel have put together a fabulously value-for-money, all-inclusive package for November &a. . . Feeling the stress factor as the day of I Dos lingers ever closer? 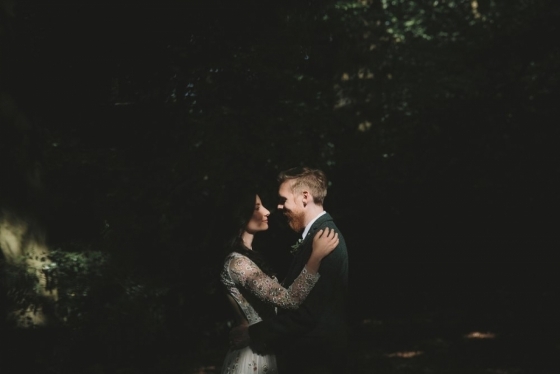 Fear not, as Holne Park House’s in-house wedding coordinator and expert, Laura Coleman reveals her top tips for a. . . 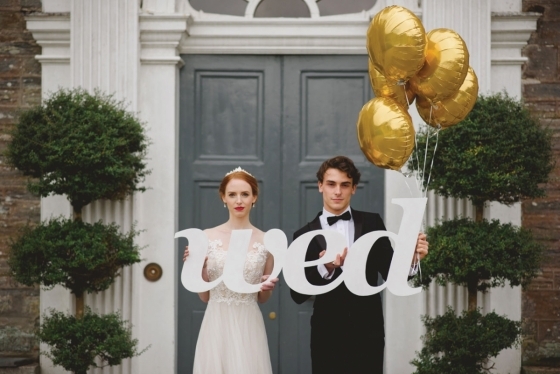 Welcome to another dreamy instalment of 'This Week in Wed World'! 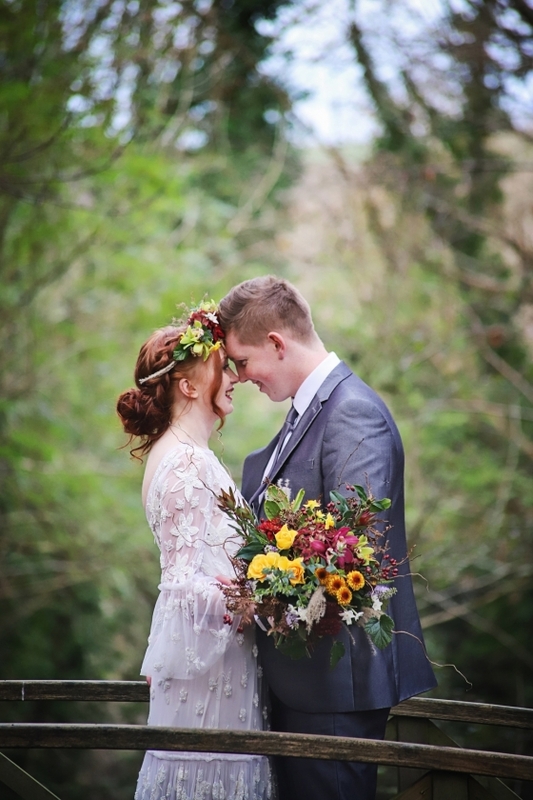 There's been a bit of everything this week: gorgeous nuptials dressed with seasonal country blooms; engageme. . . It's here folks! 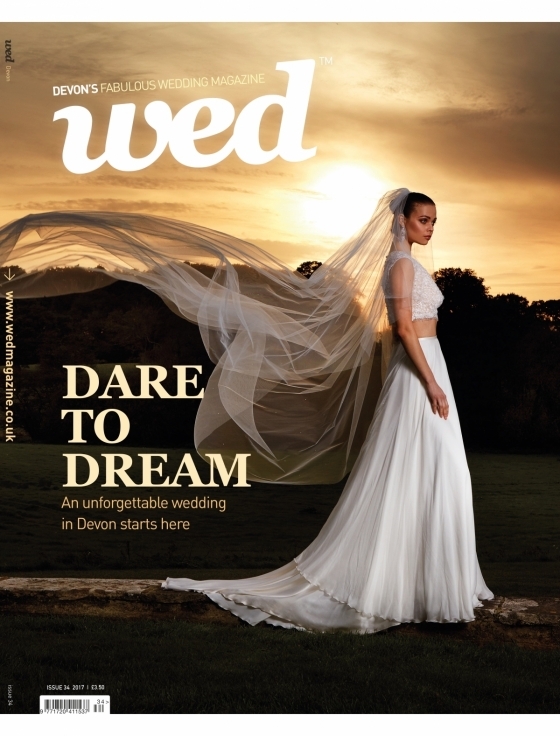 Some guaranteed sunshine for your day in the fabulous form of the latest issue of Devon WED magazine!Click here to buyWhether you're newly engaged or rapidly . . .
Spoil yourself at The Fernery! 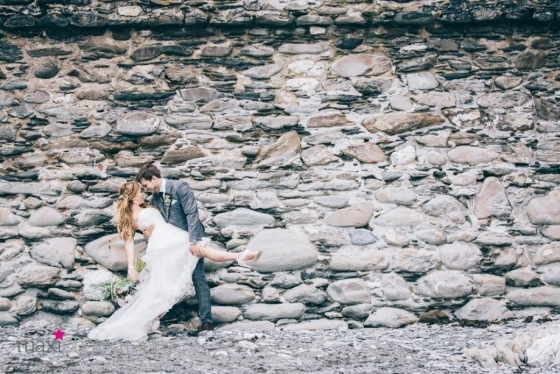 Whether you're dreaming of a lavish north Devon honeymoon or wish to put your nearest and dearest up in some seriously swoon- worthy accommodation for your wedding date, The Ferner. . . Check out this shoot from a selection of industry creatives who recently pooled their talents into showcasing beach wedding style at its most swoon-worthy.From dazzling dresses to . . .
For head-spinning fashion of the highest calibre, look no further than Bideford's brilliant bridal boutique, Champagne & Charlotte, who have just taken stock of a stunning new . 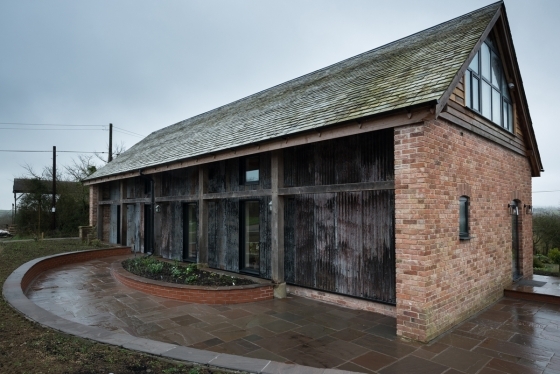 . .
Take a sneaky peek at fabulous wedding venue, The Green's latest addition to their collection of lovingly restored barns: the Really Rustic Barn. "We know that some of you want a s. . .
We're enjoying flawless blue skies and warm sunshine here in our little corner of the far west today - and thinking of all those couples busily preparing for sun-drenched nuptials . . . Exclusive wedding venue Pengenna Manor in North Cornwall has announced a brand new addition to its accommodation offering: Watergate. Nestled on the edge of the Estate - convenient. . . 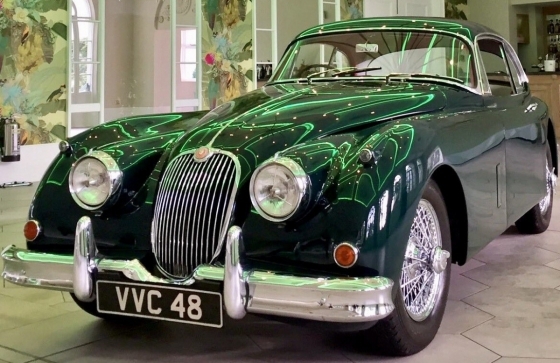 The Prop Factory, Devon’s home of super-cool props, décor, signage and games, has launched a brilliant new collection of event furniture, which is now available for hire. Guarantee. . .
Visit the gorgeous country house for a wedding planning event like no other during this much-anticipated event on Sunday 30th July (1pm-4pm). 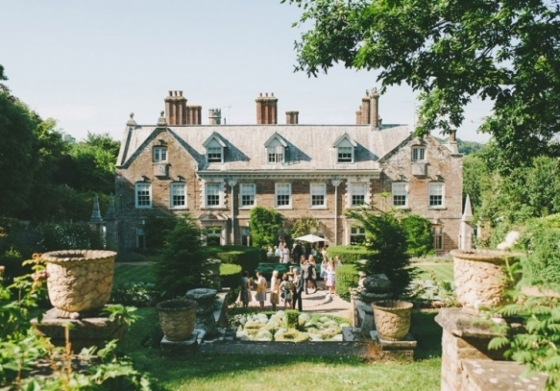 Peruse the 16th century manor ho. 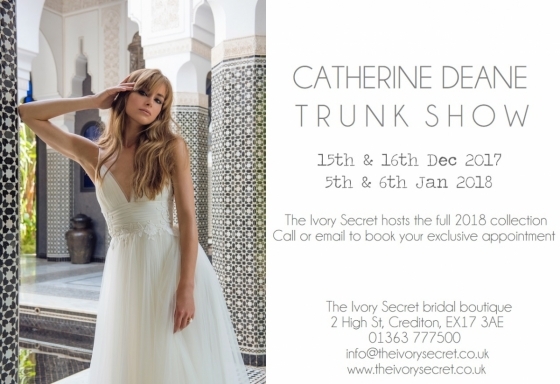 . .
Catherine Deane trunk show at The Ivory Secret! 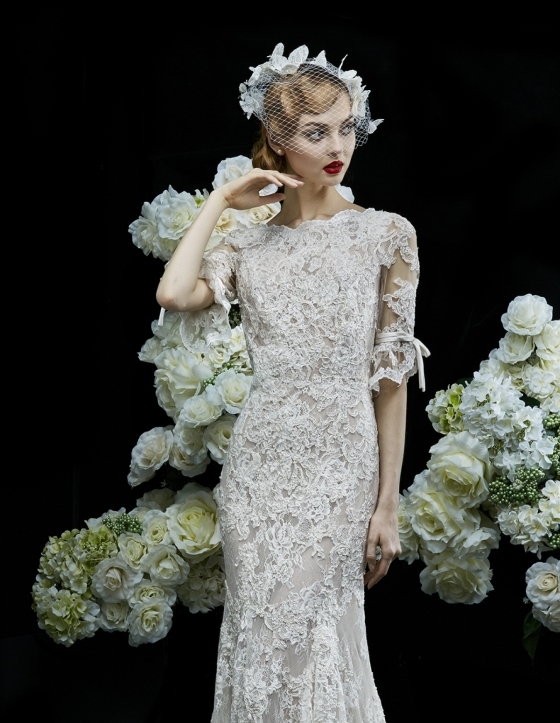 It’s difficult not to fall for the exquisite designs of British bridal designer Catherine Deane. 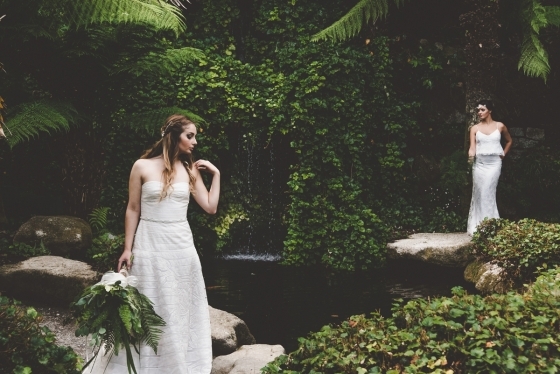 Her gowns stylishly synthesise modern bridal fashions with a heady hint of nostalgi. . . 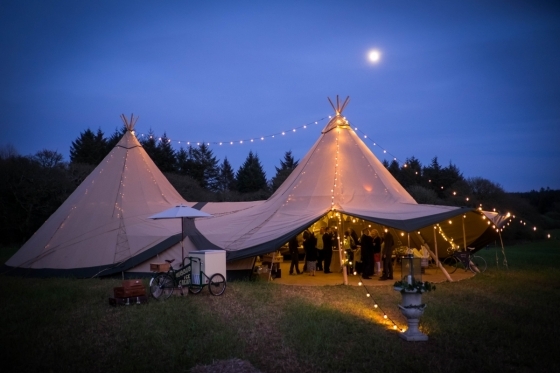 Embrace wedding world's obsession with everything outdoors by staging a breathtaking, back-to-nature celebration with a tipi wedding.The beauty of a wedding under canvas is not jus. . .
Ethereal is one of wedding world's most wanted right now, and by poring over this beautifully styled shoot, it's easy to see why. 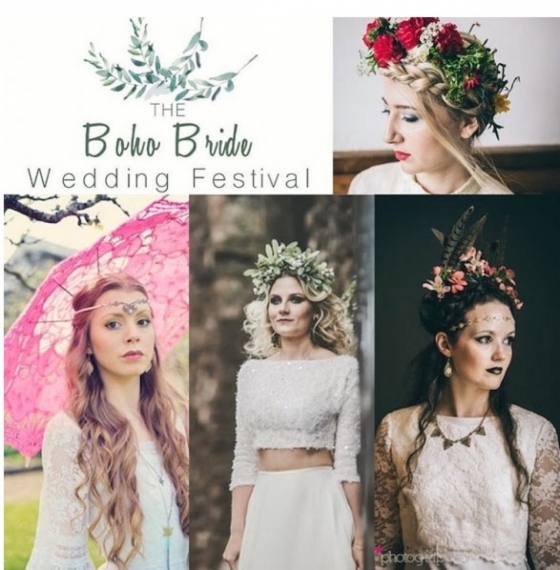 From boho chic to beachy, vintage and eco-fri. . .
For top notch service at one of Totnes' most established wedding businesses, Truly Delightful Bridal offers over 25 years of experience as they expertly help every bride-to-be to b. . . 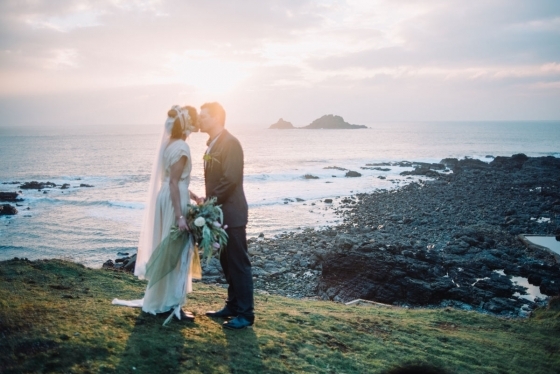 Whether you're nearly-weds for the first time or choosing to say 'I do' again by renewing your vows, this beautiful video shot at elopement specialists BoHo Cornwall will whet your. . . Steal some sunshine for your W-day whatever the weather by styling out a stunning beach locale with a riot of tropical brights. An exotic-themed party is just the ticket for an atm. 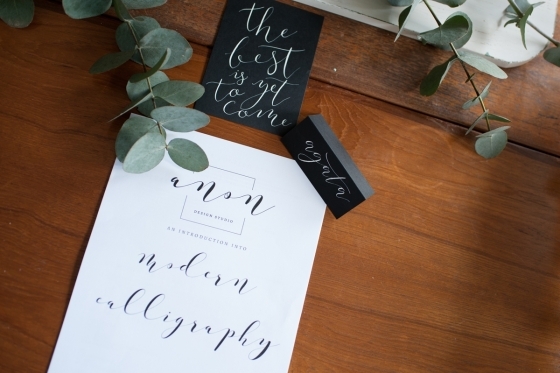 . .
Take a look at this beautiful gallery of images from Anon Design's recent modern calligraphy workshop, which was located at The Wedding Hub in Plymouth. "It was the perfect relaxin. 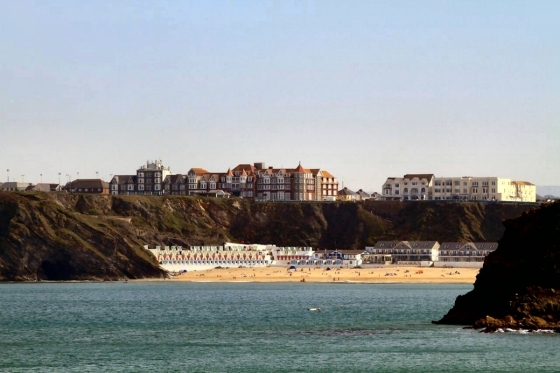 . .
Set on the stunning cliff top directly overlooking Tolcarne Beach in Newquay, Hotel Bristol boasts some seriously awe-inspiring sea views while combining stellar service with tai. 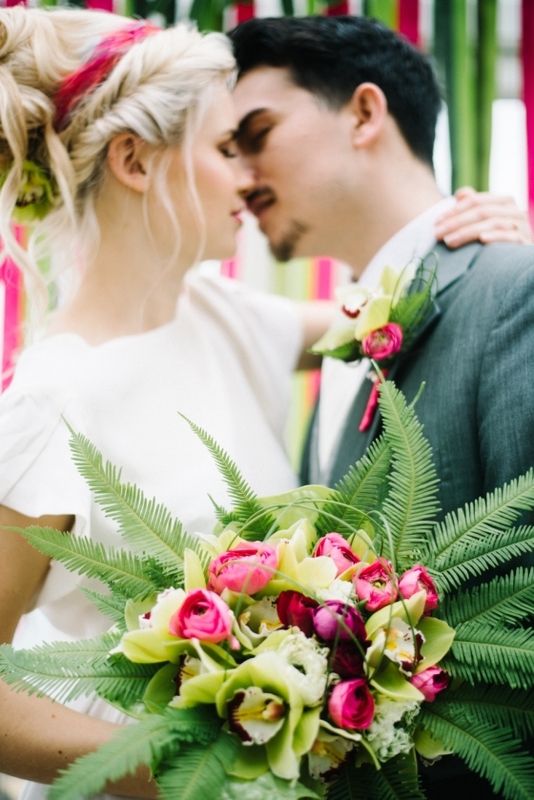 . .
What do you get when you combine beautiful blooms with a spellbinding wedding venue? A sensational and ideas-filled styled shoot that showcases wedding world's obsession with every. 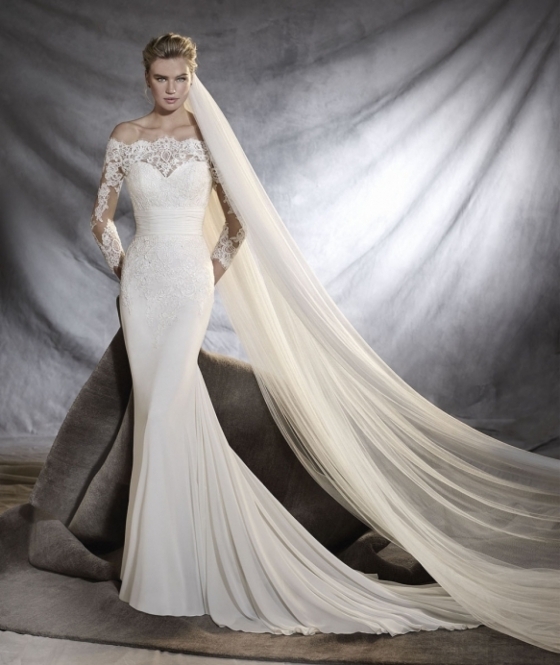 . .
Don't miss Amica Bridal's Ronald Joyce designer event from 23rd-25th June, where brides-to-be will be able to exclusively preview the Autumn collection in all of its spotlight-stea. 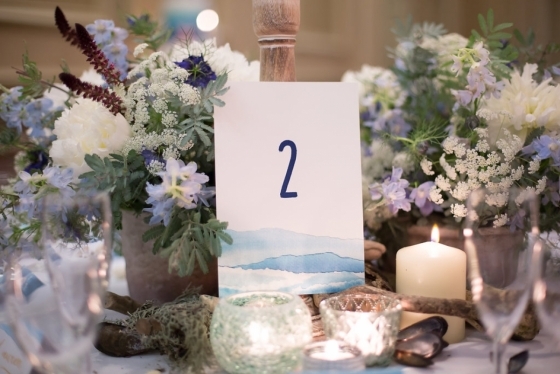 . .
Based in the South of Cornwall and offering their design services throughout the South West, Serpentine Shores Co. is an Events Styling business specialising in intimate, organic a. . . Celebrating their first birthday in brilliant style with a string of special promotions, The Bridal Room St Ives is hosting a fabulous offer: 10% off wedding dresses and 20% off sh. . . 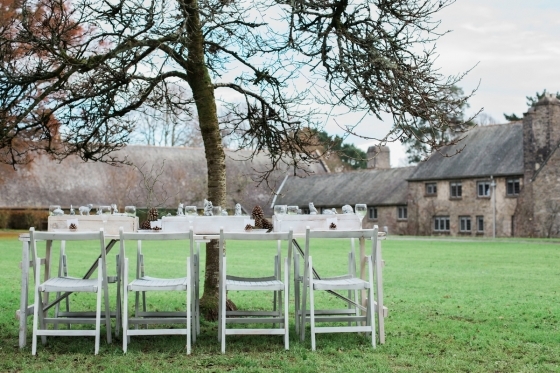 Explore one of Devon's most enchanting rural venues during this ideas-filled weekend of wedding planning on Saturday 17th and Sunday 18th June (11am - 4pm), where a world of i. . . 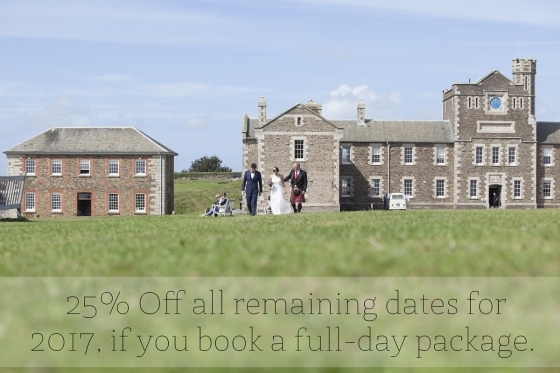 Snap up one of Polhawn Fort's last remaining wedding dates for 2017 for a whirlwind wedding packed with personality and incredible, to-die-for surrounds.Overlooking the ocean at an. 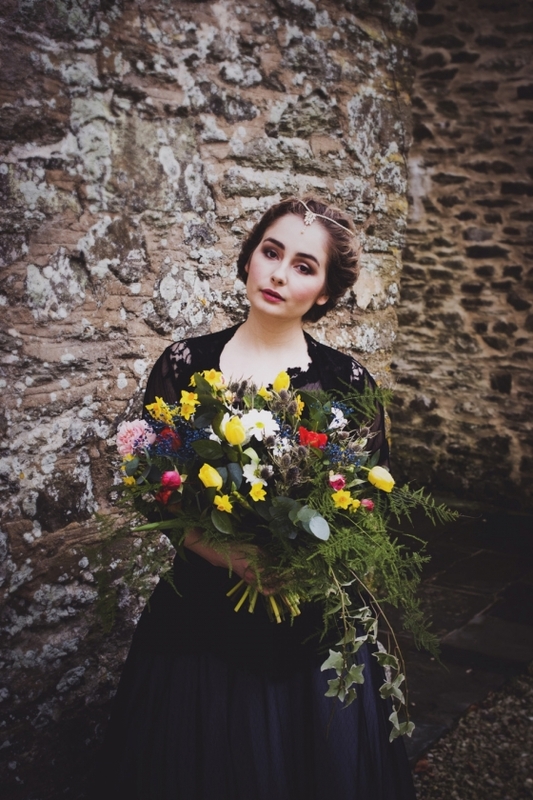 . .
Cornwall-based milliner, Holly Young, has unveiled her new collection – and, as these images reveal, it couldn’t be more showstopping. A meeting with her first millinery tutor, Sus. 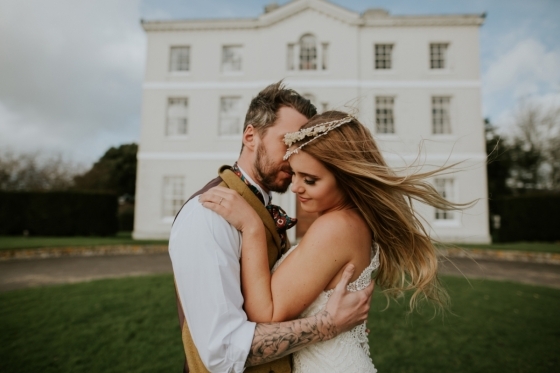 . .
Crammed with an impressive list of designers including Sassi Holford, So Sassi, Belle and Bunty, Eliza Jane Howell, Opulence and Charlotte Balbier, The Bridal Room St Ives also hou. . . 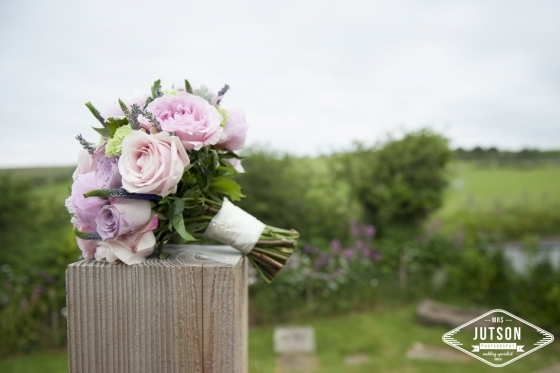 Here at Wed we implore you: don't forget the flowers! The floristry is a key and defining feature of your day, along with a fabulous way to establish and extend the overall lo. . . 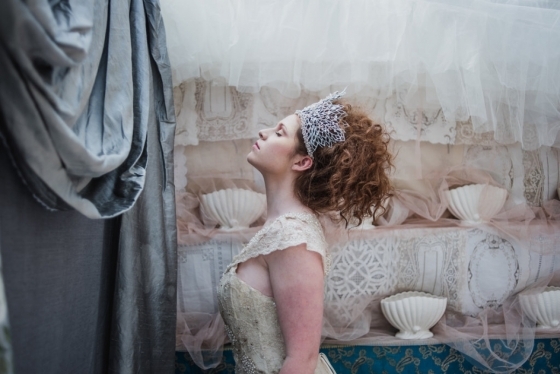 Capture your bridal imagination - and please your purse - with a trip to Truly Delightful in Totnes, where an exclusive Benjamin Roberts sale is currently not-to-be-missed.The enti. . .
Ah, true love! Yes folks, it's 'This week in Wed world' time. 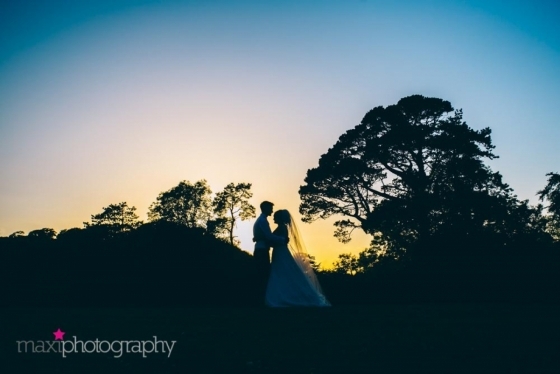 Our regular instalment of gorgeous wedding imagery from across the south-west has come to represent taking some timeou. . .
Add some sparkle to your digits with Emily Nixon's new eye-catching engagement ring range, which features an array of coloured gemstones set into beautiful gold and silver bands.De. . .
What better way to celebrate your love for each other and our beyond-beautiful coastal location than by showcasing some ocean-inspired style during your W-day?Don a beautiful boho-. . . 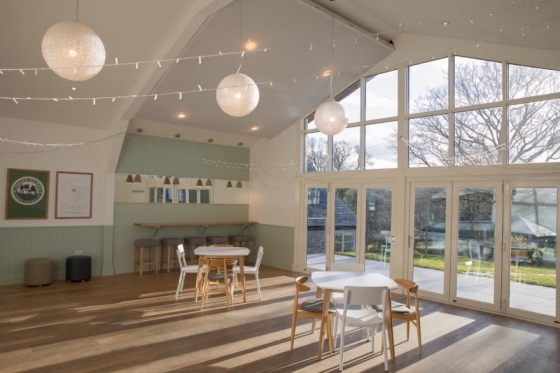 Introducing Red Brick Barn - The Green's gorgeous new function space that provides the perfect place to celebrate your I Dos at one of Cornwall's most captivating venues.The team h. . . 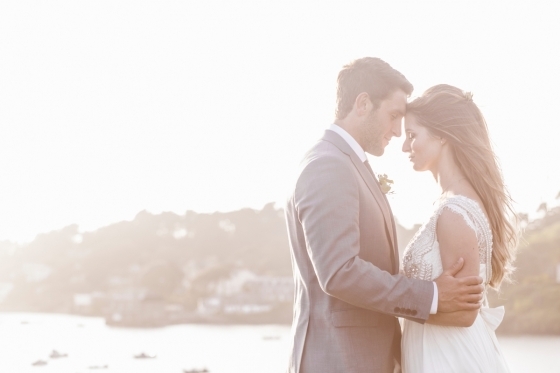 If you're still deliberating the details such as where to get married and what look to go for, then let us fill you with some sublime inspiration.Shot on location at Fowey's uber f. . .
Brides-to-be should hot foot it to Pirouette, where they're hosting a spectacular sample sale from 20th - 27th May.The exclusive event at Exeter's beautiful boutique will be presen. . .
"My style of photography is natural and unobtrusive, relaxed and beautiful. I look for candid moments of emotion, humour, beauty and truth," says award-winning Janna Dixon of her . 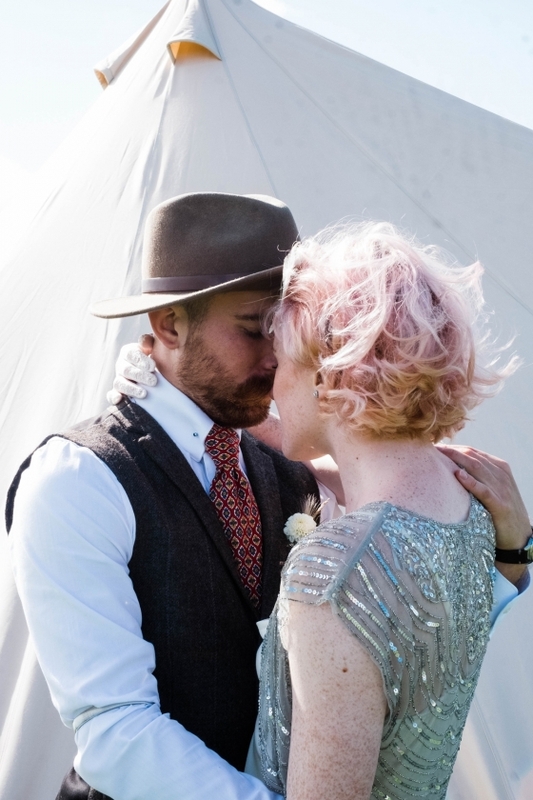 . .
Beautiful times at the Boho & Retro Wedding Festival! We were delighted to be media partners at the recent Boho and Retro Wedding Festival at Bridwell Park, hosted by the brilliant Blue Fizz Events, where budding brides and grooms cam. . . Brides desiring fashion forward frocks at a fraction of their usual price should head to Bideford's beautiful boutique, Champagne & Charlotte, where a dress sale spectacular st. . .
'This Week in Wed World' is back, folks! And it's back with a beautiful bang. 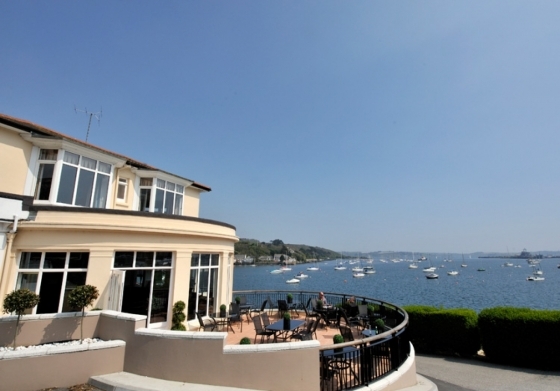 This is the stunning south-west, after all, and we have loved-up couples cherishing precious moments b. . .
One of the county's most enchanting wedding venues adds to its list of accolades as it announces its restaurant has recently been awarded two AA Rosettes following an inspection ea. . .
"My style has been described as unconventional, inventive and unorthodox with an edge of whimsicality," says photographer Verity Westcott, who admits to shedding the occasional tea. 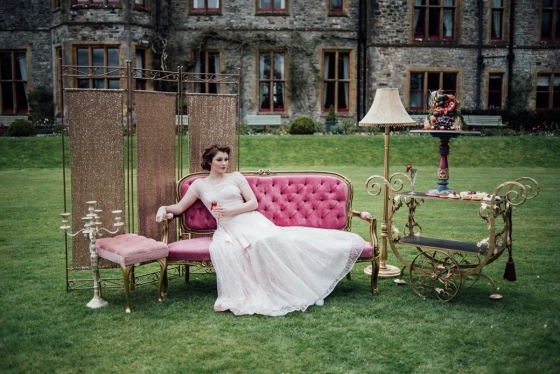 . .
Immerse yourself into a world of quirky ideas, designs and details as you ponder your own vintage and eclectic wedding at this inspirational event at Penventon Park Hotel on Th. . . 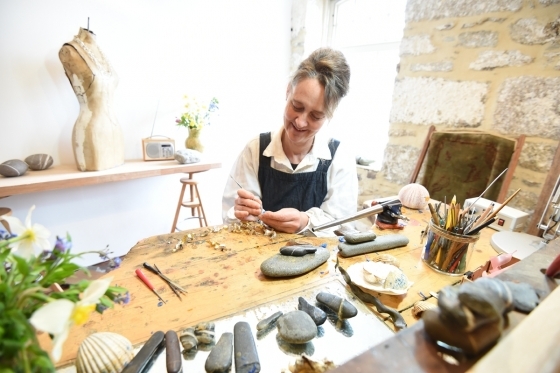 It is fitting that Emily Nixon’s atmospheric Hayle studio is located within touching distance of the water. “I create one-off pieces in response to the textures and forms of the se. 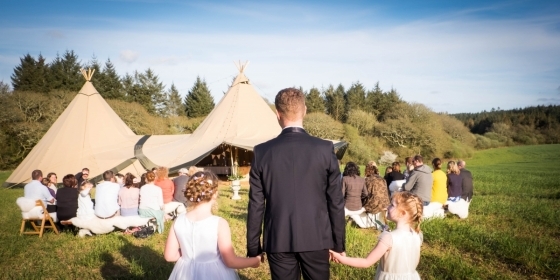 . .
Set in a beautiful valley close to Cornwall’s north coast, Cornish Tipi Weddings offers seclusion and privacy in a natural setting where you can turn your vision of a wedding day a. . . 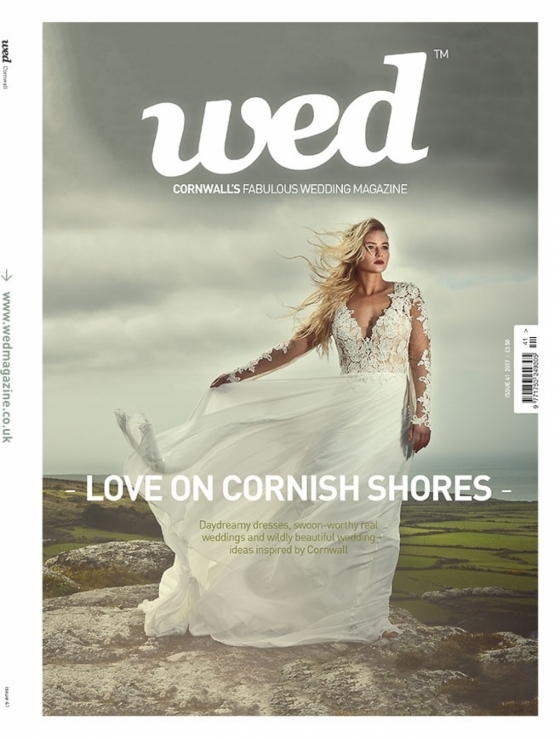 Welcome to the W-day wonderland that is: the latest issue of Wed Cornwall!This installment is something of a celebration of the county's natural and creative landscapes, providing . 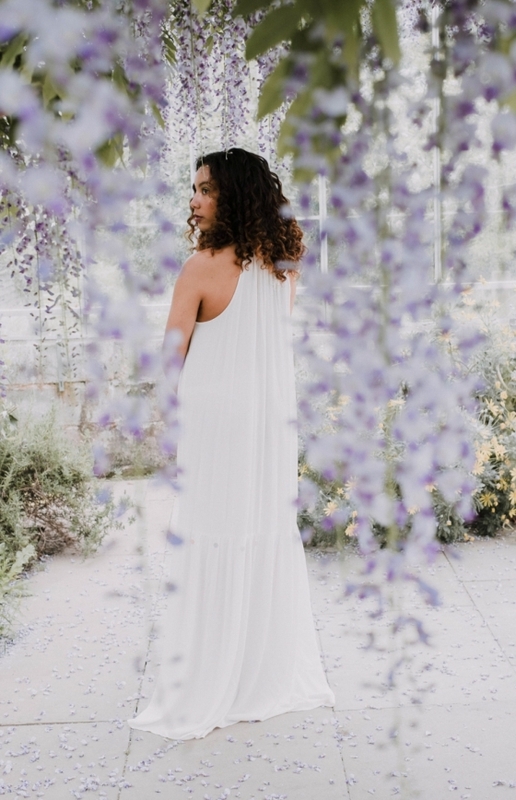 . .
Save some of the spotlight for your bridesmaids by treating them to a gown that's just as fashion-forward and head turning as yours, courtesy of The Bridal House of Cornwall's exqu. . . Calling all brides-to-be to County Cream's spring sale spectacular, where a whopping 50% discount can be found on many of the gorgeous gowns features in their current and not-to-be. 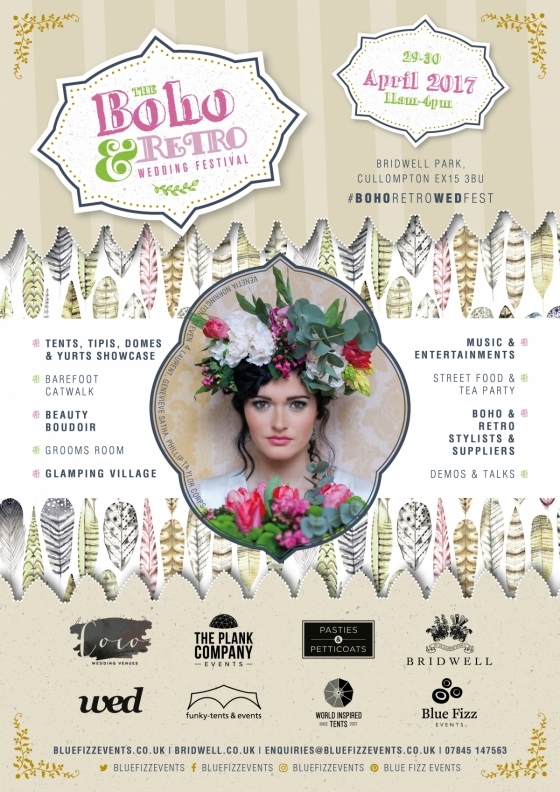 . .
As well as a plethora of gorgeous inspiration at this unmissable event, the forthcoming Boho and Retro Wedding Festival hosted by Blue Fizz Events on Saturday 29th & Sunda. . .
Brides-to-be should hot foot it to Kate Walker Bridal for an anticipated collection fresh from wedding world.Presenting the latest Louise Bentley range, the Honiton boutique is hom. . .
Welcoming two brand new collections from a pair of stunning designers, Amica Bridal continues to add to its incredible range of bridal wears.The Plymouth boutique have just t. . .
Seeking a stellar soundtrack for your party of a lifetime? 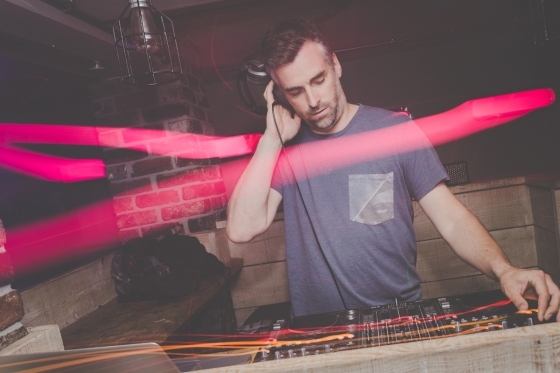 Look no further than Fistral Stereo, whose top DJ services will keep your guests grooving into the small hours, ensuring . 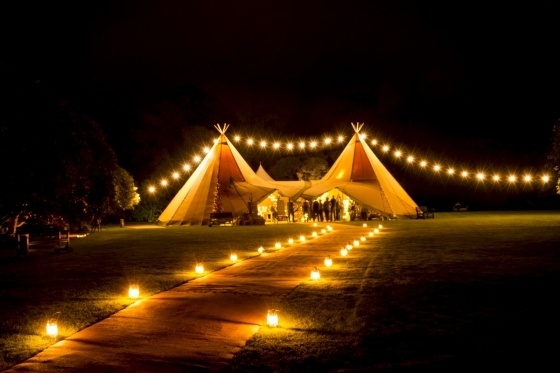 . .
Based on the Roseland Peninsula, The Cornish Tent Co. provides both tipis and sail cloth marquees for a wonderful wedding under canvas. Constructed from Scandinavian timber and. . . 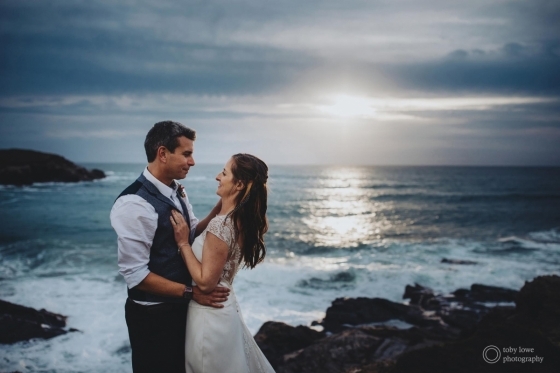 The silken sands, Atlantic rollers and stunning sunsets of Lusty Glaze have, unsurprisingly, proved an alluring formula for couples seeking a beach wedding in Cornwall. And there’s. 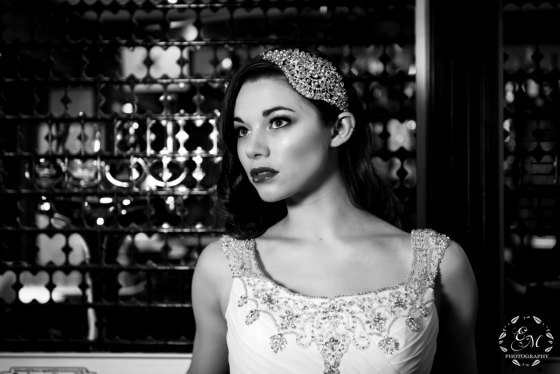 . .
For brides-to-be seeking a touch of timeless Hollywood allure, then look no further than this spectacular fashion shoot.The Atlantic Hotel in Newquay was the perfect backdrop for t. . .
Inspiring bridal fashions in St Ives! 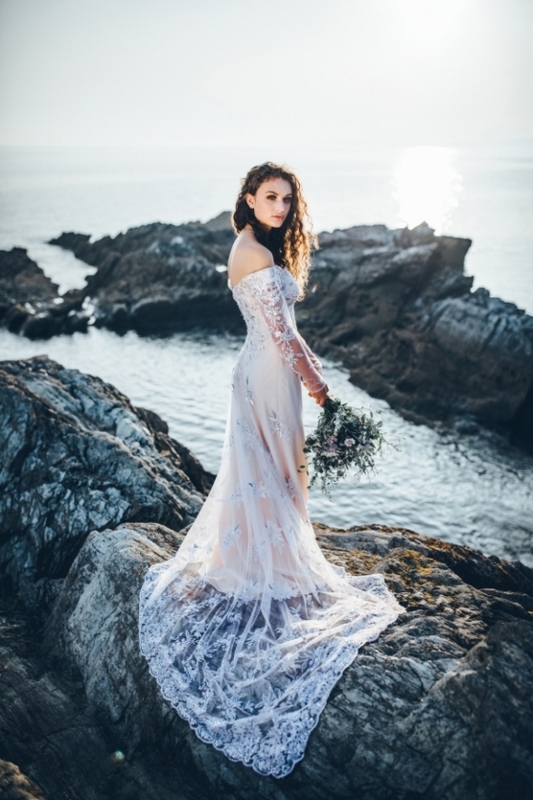 Get set for sensational bridal style courtesy of this recent fashion shoot that took place at the ocean-gazing venue of St Ives Harbour Hotel and features a selection of fashion-fo. . .
For brides seeking that all-important hair and make-up inspiration for an effortless, yet striking 'you', then prepare to swoon at these gorgeous looks specially created by Plymout. 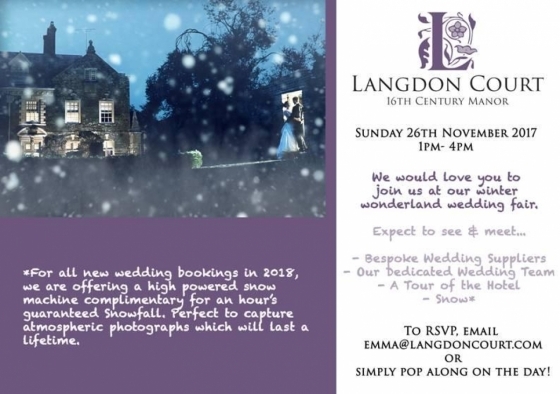 . .
For a fabulous foray into wedding world, visit Langdon Court's gorgeous Spring Wedding Fair on Sunday 23rd April (1pm-4pm), which will not only showcase the glorious country. . .
Peboryon is the award-winning name for show-stopping centrepieces of the sweetest variety. 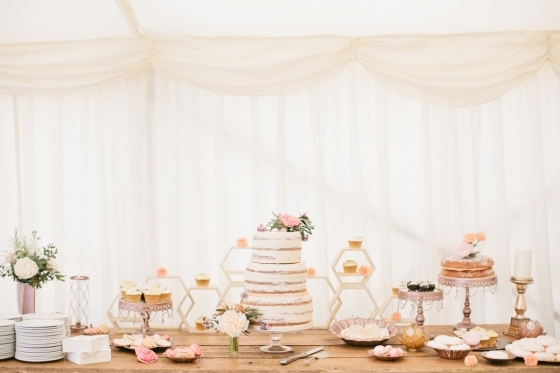 The creative cake specialist is renowned for hand baking and decorating architectural wor. . . Check out one of our latest and truly stunning shoots, 'Dream Weaver' which appears in the latest Devon issue of Wed. Styled and coordinated by the brilliant Blue Fi. 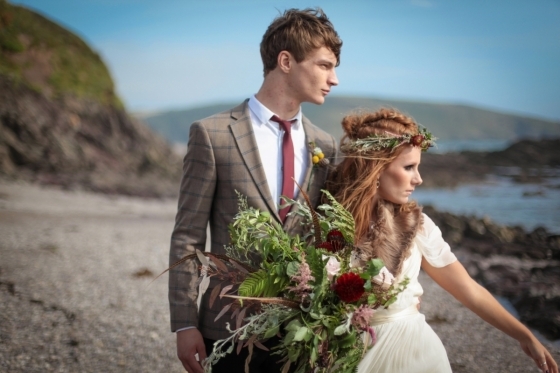 . .
One of the many reasons to get your mitts on the latest issue of Devon WED magazine is its stunning series of styled shoots, and one of our favourites has to be, 'Indian Summer', w. . .
Planning a whirlwind wedding? Then why not pick The Penventon Park Hotel & Spa, who have a small selection of dates available for Summer 2017?For couples desiring a jaw-droppin. 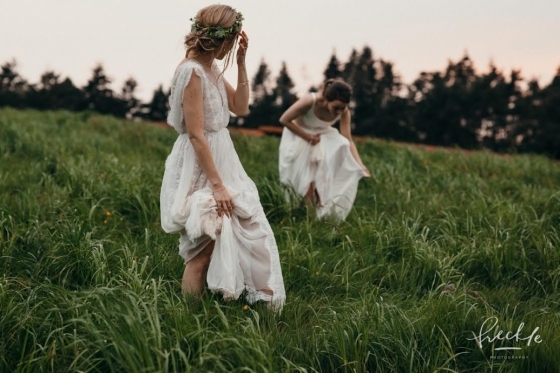 . .
Give your gal pals an extra reason to celebrate by visiting The Bridal Room St Ives, where they can get their mitts on the latest and utterly gorgeous collection from Watters.Expec. 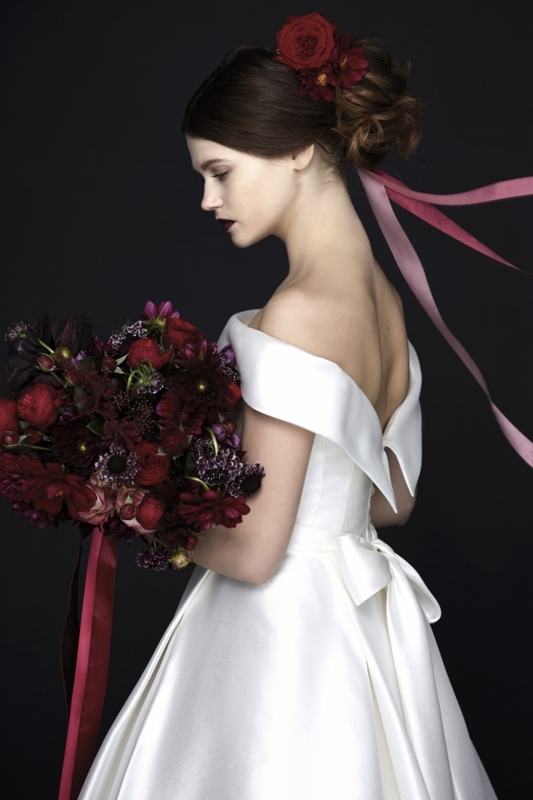 . .
Gowns from acclaimed British designer Alan Hannah’s new collection have landed at Sam Cox Bridalwear –and they couldn’t be more beautiful. Made in London, designer Marguerite Hanna. 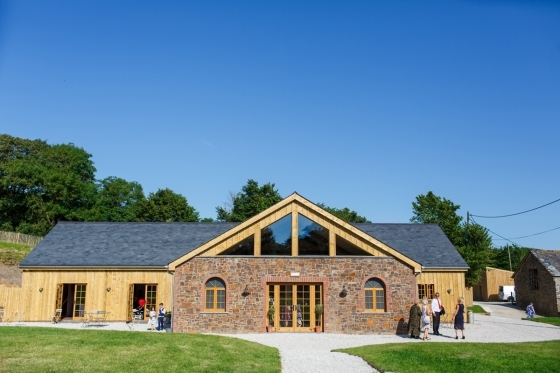 . .
Nestled amidst acres of rolling green landscape in the heart of Devon, The Oak Barn at Hittisleigh Barton offers a charming and versatile setting for ceremonies and celebrations wi. . . 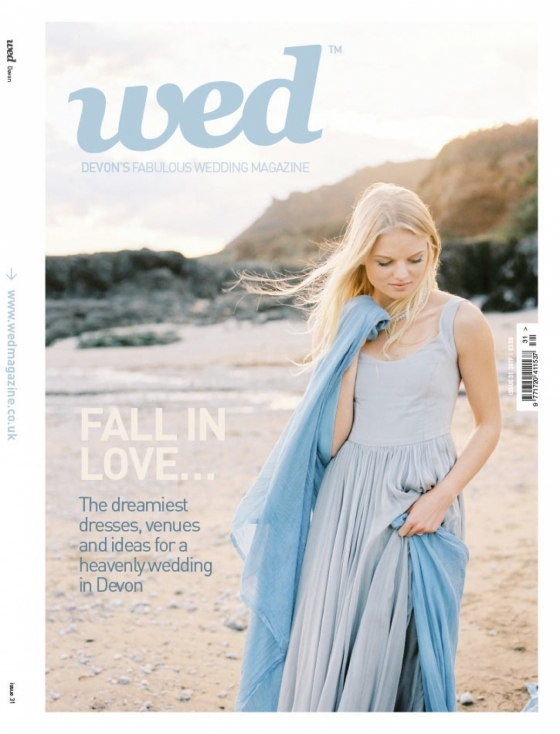 It's here folks: the utterly fabulous new issue of Wed Devon!We've taken something of an easy breezy vibe this issue, where 'Winter Seas' delivers dreamy inspiration for a wedding . 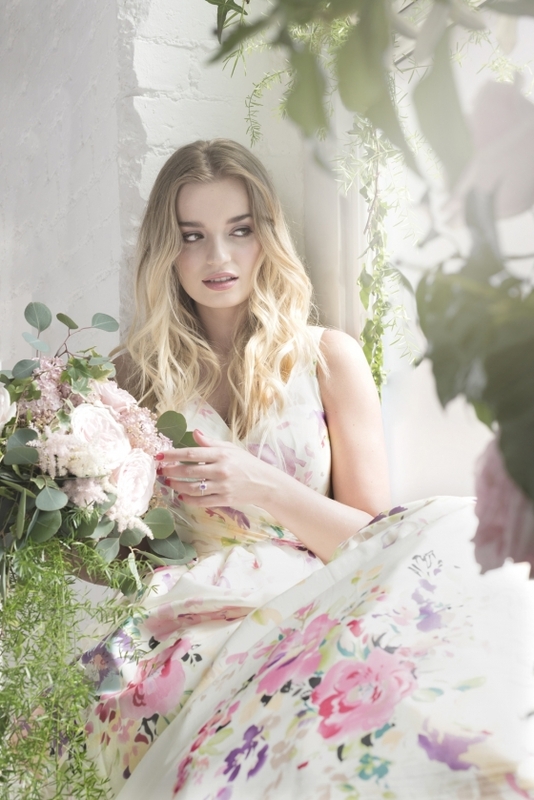 . .
Set the swoon factor to an all-time high as The Bridal House of Cornwall hosts an unmissable event during their exclusive Naomi Neoh Designer Days between 21st-23rd April. Head to. 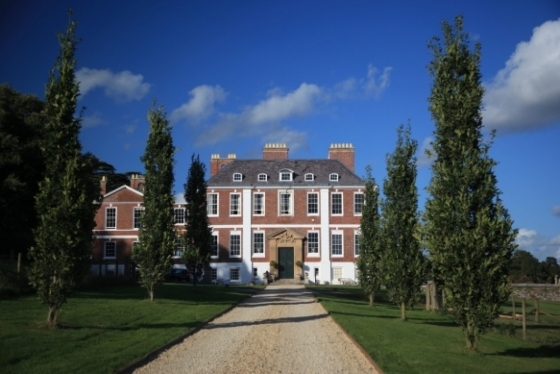 . .
Nestled in 100 acres of secluded parkland just a few miles from Exeter, Rockbeare Manor makes a magnificent country house venue. Originally built in 1760 as a home for entertai. . .
Seeking something standout and beautifully personal to wear on W-day? 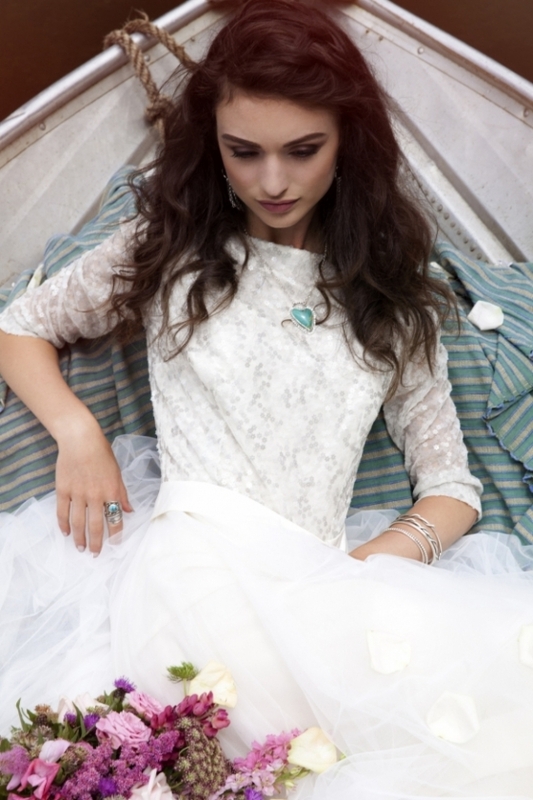 Designed in Exeter, Isabelle Montagu is fast emerging as a coveted bridal brand, with fine craftsmanship, luxu. 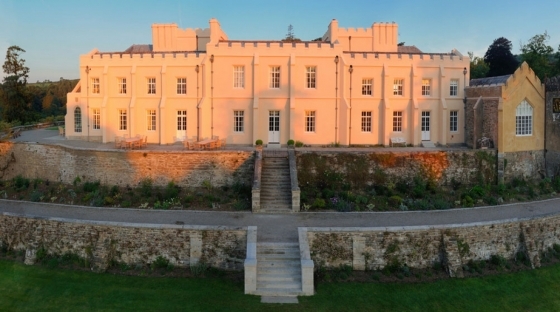 . .
Set in 120 acres of Devon parkland, Bridwell Park makes for a majestic wedding day - and the perfect place to plan your own country house event on Saturday 29th & Sund. . . 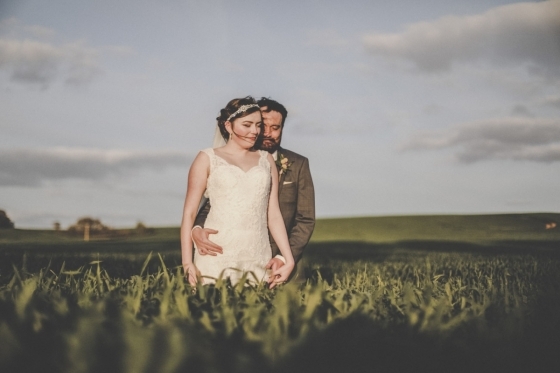 Fancy top notch wedding photography at a wonderfully reduced price? Then get in touch with Tom Foreman, whose latest offer of 20% off all full-day packages for all remaining 2017 d. . . 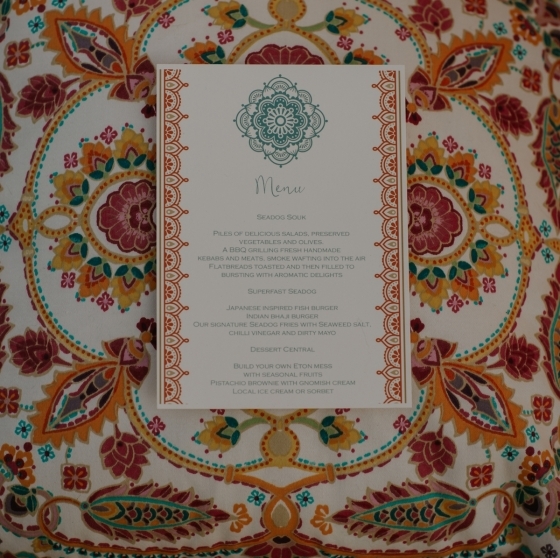 Celebrating the start of spring and the wedding season in sublime style, The Rosevine are hosting a rather special garden party to help couples get planning for the dreamiest. . . Inspired by March being the month of International Women's Day, Lovely in Honiton is hosting a fabulous competition, giving you the chance to win a stunning pair of Freya Rose shoe. 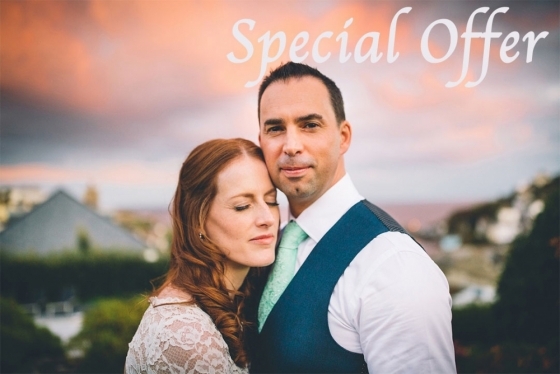 . .
For any couples planning a whirlwind wedding or grooms-to-be pondering a surprise proposal, one of Cornwall's most magical venues is offering not-to-be-missed deals on selected sum. . .
Crafting flowers from the finest silks, Flourish will add a gorgeous mood of glamour and a striking alternative to fresh blooms courtesy of their showstopping designs. 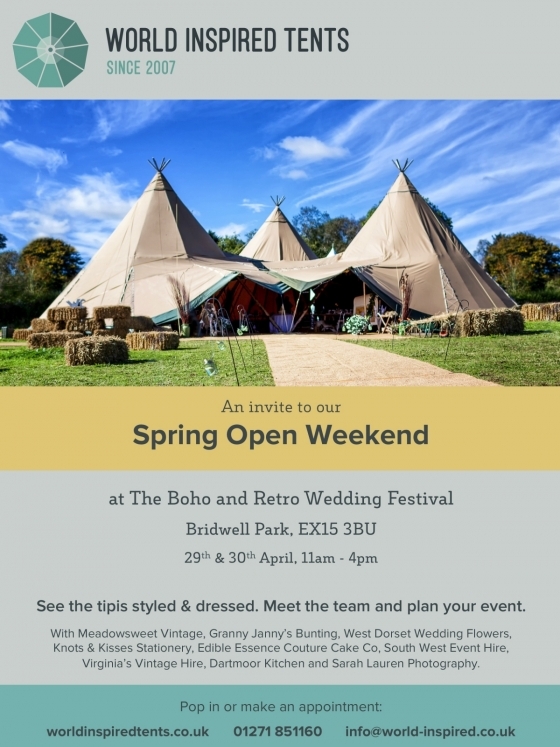 From trees a. . .
As part of the anticipated Boho and Retro Wedding Festival at Bridwell Park on Saturday 29th & Sunday 30th April (11am-4pm), Word Inspired Tents are pleased to be hosting their. . . 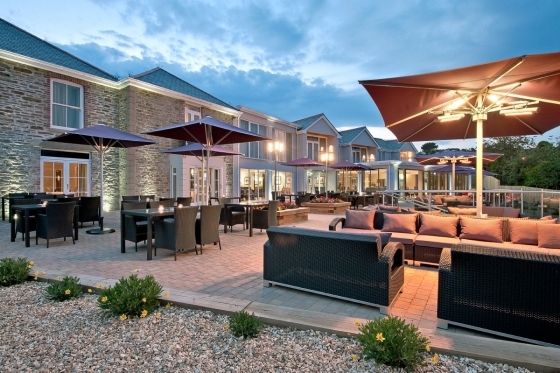 The purse-friendly allure of a mid-week wedding shows no sign of dimming, and Coombe Trenchard has sprinkled its unique brand of luxurious warmth onto this trend with the launch of. . . 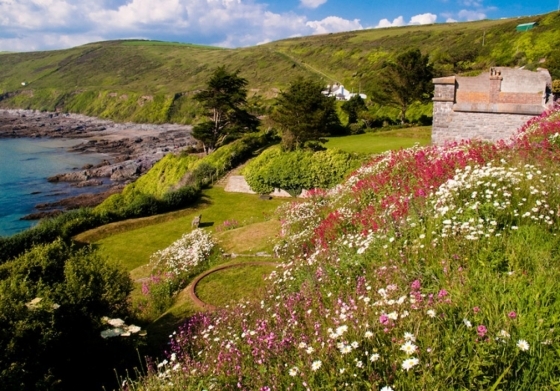 Explore the stunning Tudor Cornish Castle and meet a stellar selection of suppliers at this much-anticipated event on Sunday 9th April (11.00am - 3.00pm), where you can fine tune. . . 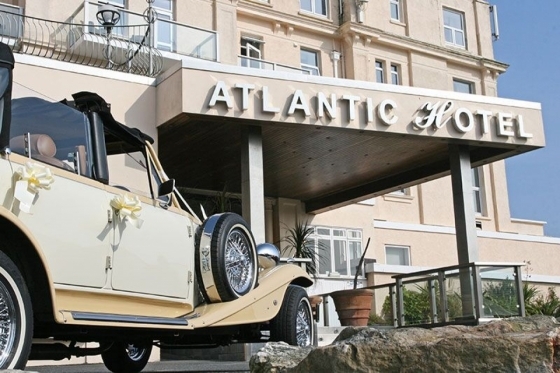 Walk the red carpet at one of Cornwall's most special seaside venues for a wedding extravaganza set to tantalise all your senses at this unmissable planning event: The Atlant. 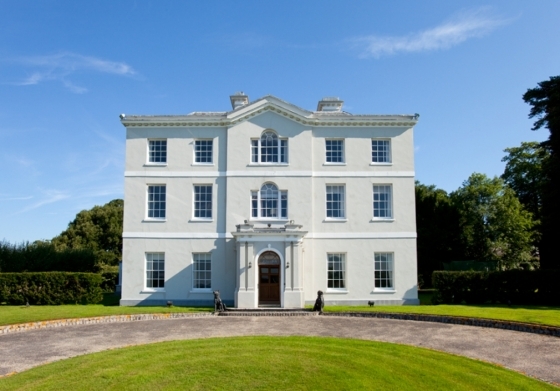 . .
Any couples wishing to tie the knot this year in Devon can take advantage of a fabulous promotion from Pynes House, who are offering a 10% discount off all remaining 2017 wedding d. . . 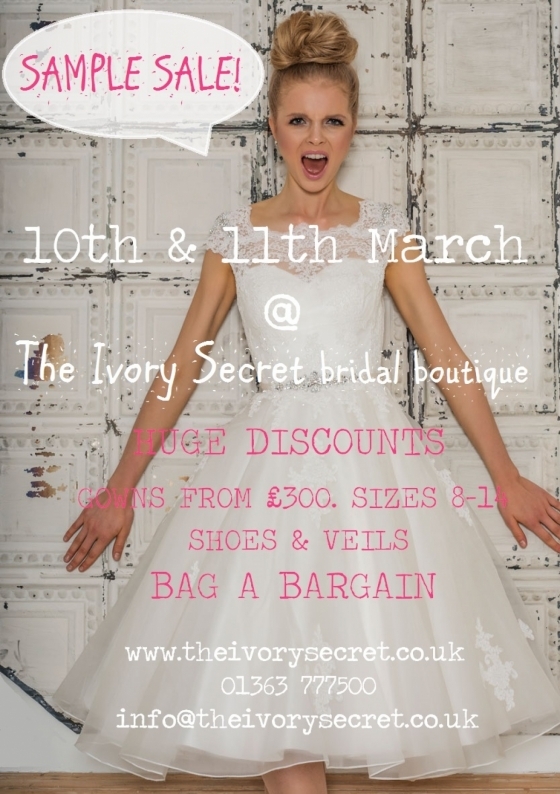 Treat yourself to a dress shopping extravaganza at The Ivory Secret's spectacular sample sale on 10th and 11th March, where brides-to-be can lavish in a heady list of designer labe. . .
What better way to peruse Christine Trewinnard's stunning collections then by scrolling through her brilliantly revamped website, where a world of wedding dress inspiration awaits?. . . Sit back and set the swoon factor to high as you gaze at the gallery of gorgeous shots from our online feature, 'Winter Wonderland', photographed by the talented Ellie Lou Pho. 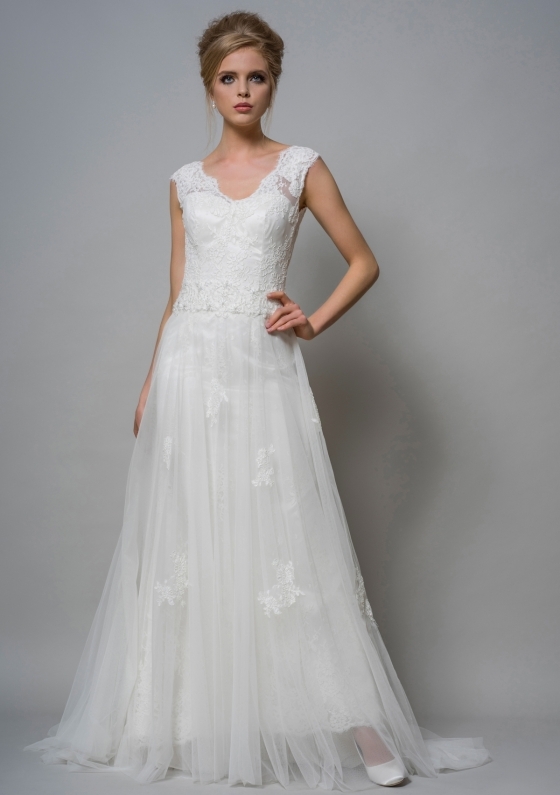 . .
Don't miss Lovely Bridal's brilliant sample sale, which is currently running at the Honiton boutique and features cut-price gowns from top-notch designers including Charlie Brear, . . .
Deliberating the dress? Torn between your trends and not sure what's especially hot to rock right now? 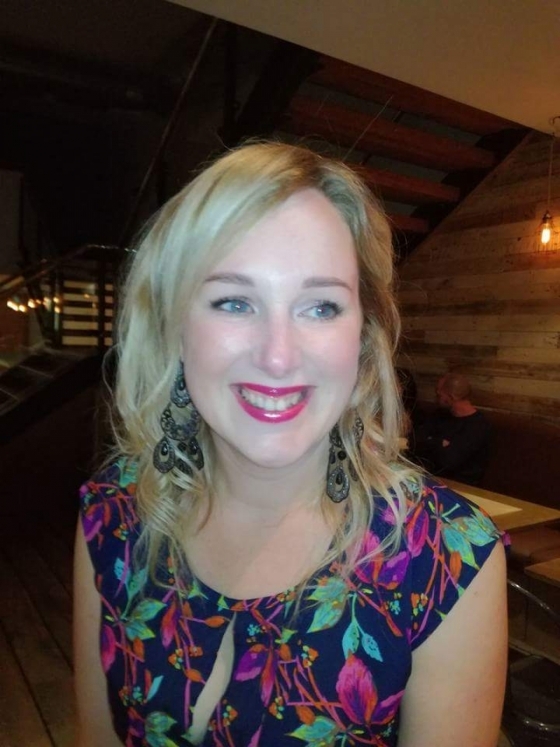 Rachel Beaton at Truly Delightful shares some of her top tips and latest obse. . . Caught up in the planning frenzy and dreaming of an easy and simplified solution? 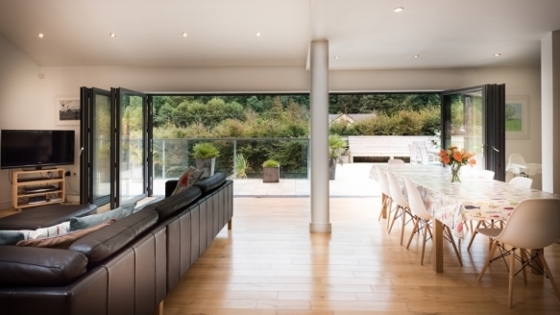 Look no further than Beatengreen Design, who cleverly combine a range of services to help ease the. . . Treat yourself and your gal pals to an exclusive dress shopping experience at one of Cornwall's most beautifully positioned boutiques, where a stunning range of wedding day fashion. 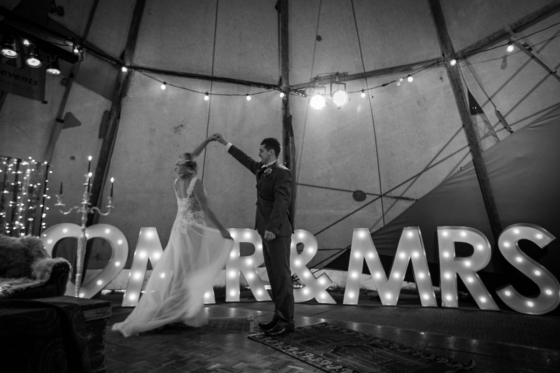 . .
Seeking uber cool props, ice-breaking games, striking signage, fabulous furniture or simply something very special to make your big day dazzlingly distinctive? There’s only one pla. . .
Having reached 2000 Facebook 'likes' on Valentine's Day, Paul Keppel is celebrating by making a special offer: book your 2017 wedding photography with him by Sunday to receive a 20. . . 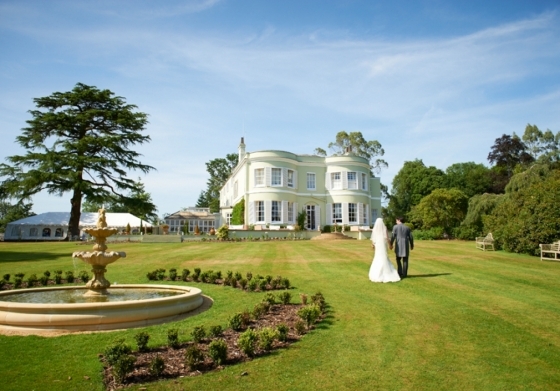 Deer Park Country House Hotel isn't just one of Devon's most beautiful places to get married. 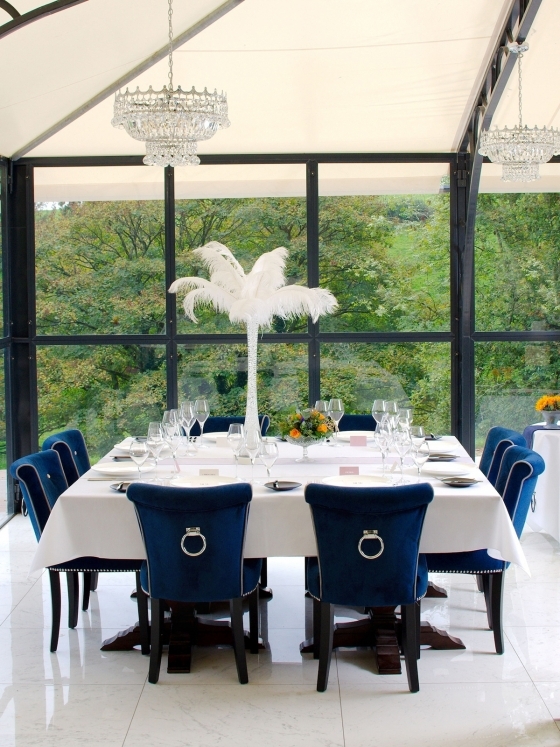 The venue now offers a new service for couples wishing to add extra wow factor to thei. . .
As part of our current 10th anniversary special edition of WED, we were delighted to shoot 'It's a Celebration!' at the beyond-beautiful wedding venue of Boconnoc House.The inspire. 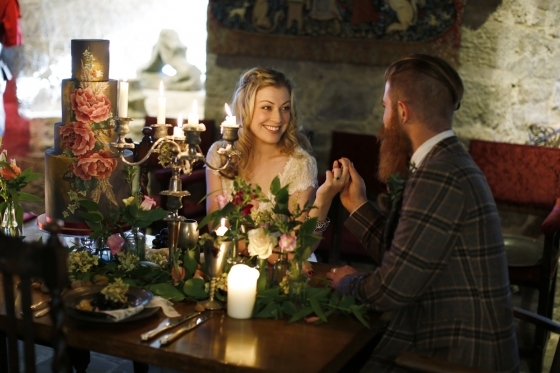 . .
We're getting in the mood for a decadent take on romance with this swoonsome styled shoot at The Penventon Park Hotel. The result of a creative collaboration of a number of industr. 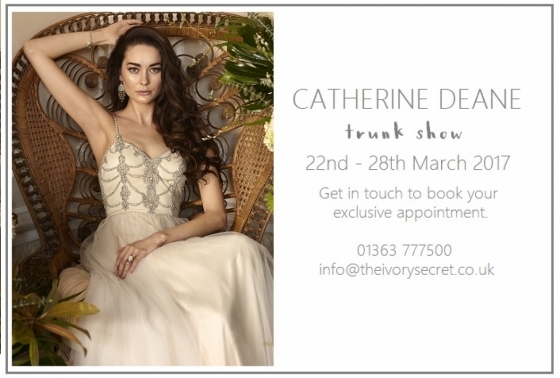 . .
Don't miss The Ivory Secret's stellar and exclusive event, where brides-to-be can view the full and fabulous Catherine Deane collection at the Crediton boutique for one week only f. . .
For the opportunity to freely roam the gorgeous Cornish wedding venue that is, Pentillie Castle, make a date in your diary for Sunday 19th February (12pm-3pm) for this anticipa. 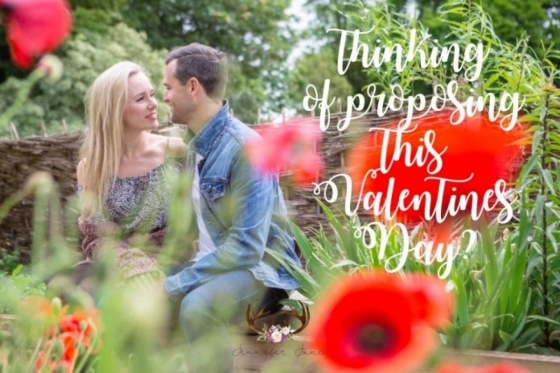 . .
Devon-based photographer Jennifer Jane is celebrating Valentine's Day - and newly engaged couples - by offering a half price couples shoot (at £125) if you book her to capture your. . . The Wedding Company in Plympton will be hosting a very special Pronovias designer event on 9th and 10th March 2017, where brides-to-be will have the opportunity to swoon over - and. 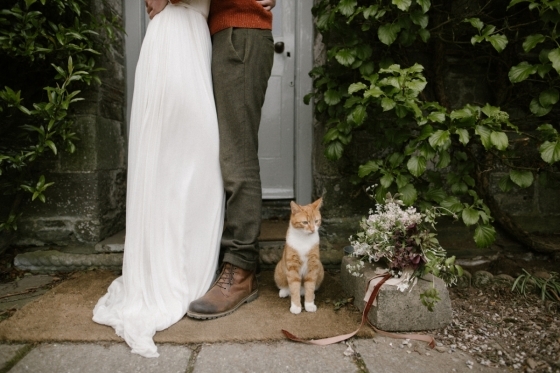 . .
Idyllic Devon wedding venue, Ever After, has just launched their new elopement brochure for 2017/18, having tagged an extra night’s accommodation to their brilliant wedding pa. . .
For brides seeking head-turning and beautifully fashion-forward style, look no further than The Wedding Company in Plympton, whose Charlotte Balbier Designer Event on 17th-18th Feb. . . 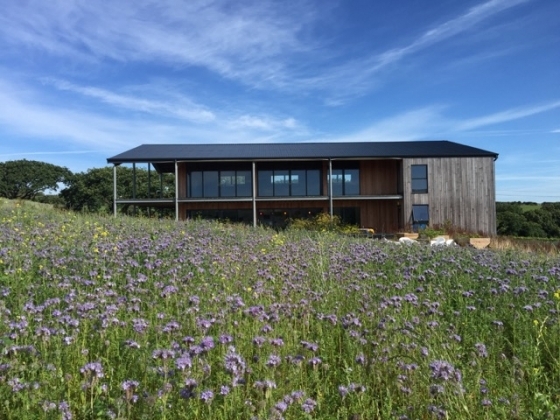 Concealed in the heart of the Cornish countryside near south Cornwall's stunning coast, Lower Barns boasts a beyond-beautiful locale in which to say 'I Do'.Renowned for their uber . 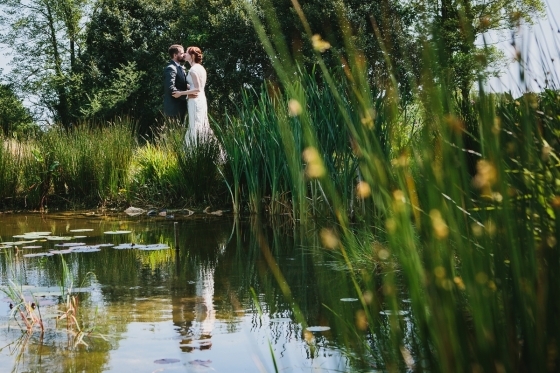 . .
Soul-stirring scenery, beautiful buildings and stellar flavours are the hallmarks of one of Cornwall's newest - and most magical - wedding venues, Trevibban Mill.The vineyard and o. . . 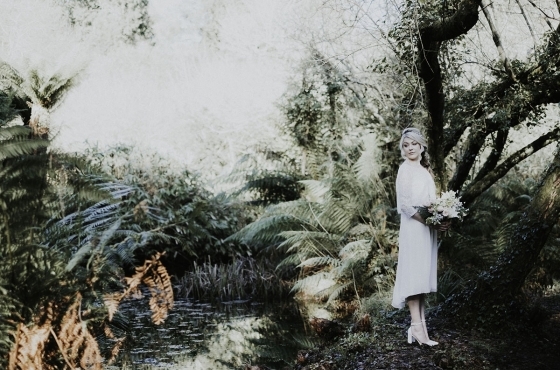 Shot in the beautiful wilderness of Penjerrick Gardens, this dreamy bridal shoot sees a stirring sense of ethereal romance captured against a truly sublime backdrop.Marrying a spel. . . 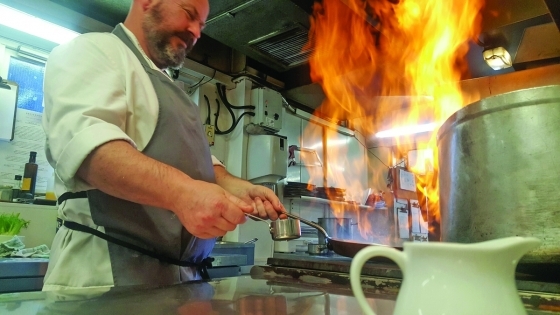 Celebrate the day of love by treating your sweetheart to a sumptuous meal at one of Truro's top dining destinations.The Alverton is presenting a gorgeous gastronomy to couples keen. . .
Head to the heart of Cornwall for The Alverton's ideas-filled event on Sunday 26th February (11am - 3pm), where a world of W-day inspiration awaits. Discuss your vision with an. 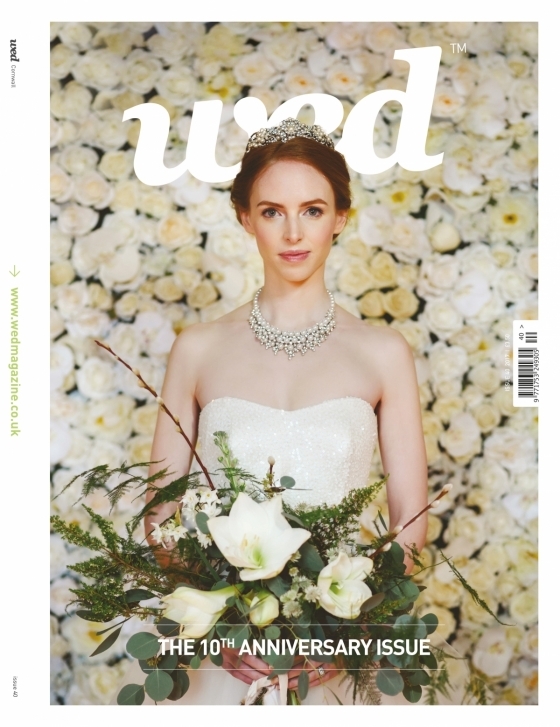 . .
10th anniversary issue of Wed Cornwall out now! Welcome to Wed's bumper 10th anniversary special! Yes folks - it's been a decade since our tiny team started what has undoubtedly become one of the best wedding showcases that Corn. . . 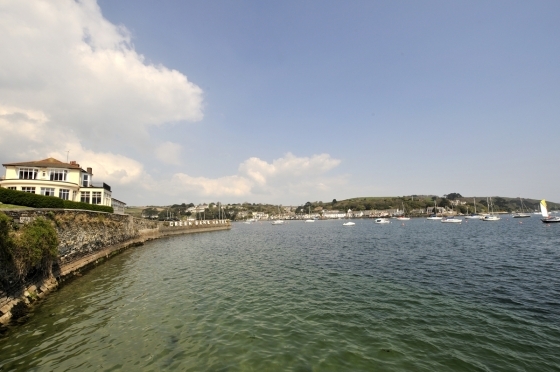 Relish one of Cornwall's most sublime waterside settings with a supremely special offer at The Greenbank Hotel in Falmouth, who are currently presenting couples with a 2017 wedding. 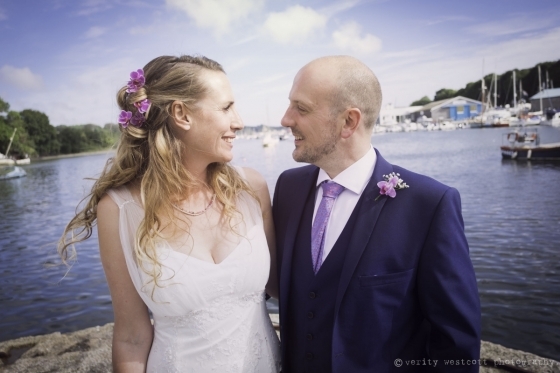 . .
Say ‘I Do’ in spectacular surrounds courtesy of The Cornish Pop-Up Wedding Company, whose latest exciting collaboration with Falmouth Haven offers couples the chance to celebrate w. . . Check out this stunning shoot at Tredudwell Manor, where a recent group of industry creatives teamed up to capture the romance and grandeur of a wedding at one of Cornwall's most-w. . .
Based on the Roseland Peninsula, The Cornish Tent Co. provides both Giant Hat Nordic​ tipis and Californian ​Sailcloth marquees for a wonderful wedding under canvas. . . .
Don't miss Knightor's wedding fair on Saturday 25th February (11am - 3pm) for a chance to see the stunning Cornish venue dressed for a wedding, relish a wander round the gorgeous g. . . Calling all brides-to-be! Make a date in your diary for Sam Cox Bridalwear's annual sample sale on Saturday 4th February (10am – 4pm).Housing a heady list of designers including . . . Whether you fancy a few days away with your beau before the big day, or a mini moon as you embark upon married life together, a special sightseeing, shopping and seafaring trip may. . .
“I'm a storyteller. 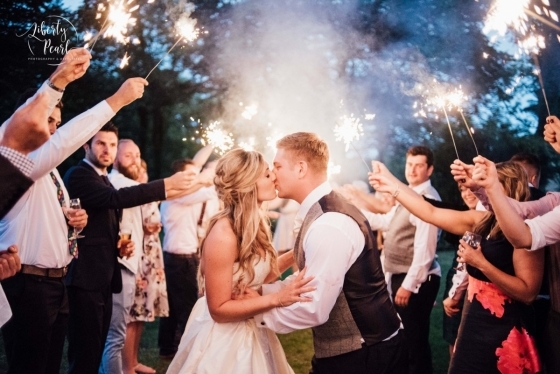 I tell stories using my camera, and my favourites are weddings,” says Jennifer of her passion for w-day photography. Blending a range of approaches including po. 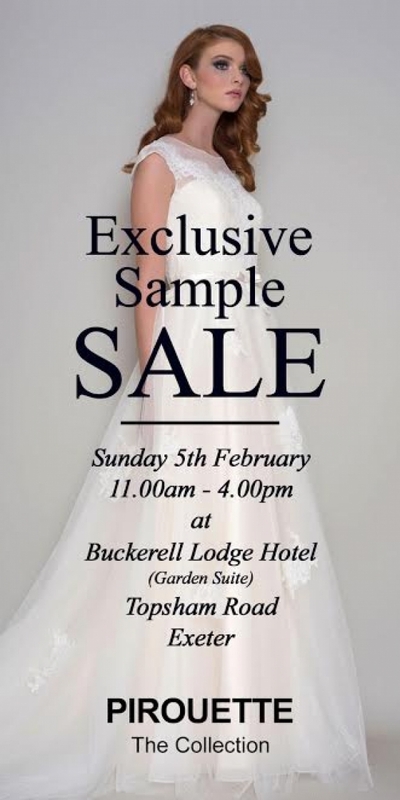 . .
Don't miss Pirouette's Exclusive Sample Sale on Sunday 5th February (11am-4pm) for a dress buying extravaganza at beautiful wedding venue, Buckerell Lodge Hotel in Exeter.Their gor. 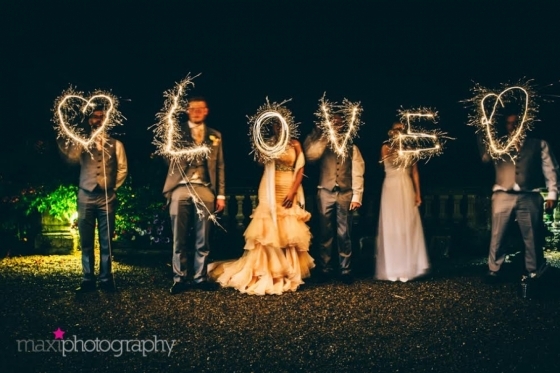 . .
For wedding photography with plenty of wow factor, look no further than Pip and Simon, whose gorgeous images perfectly portray the people and atmosphere of your day. "Drawing consta. 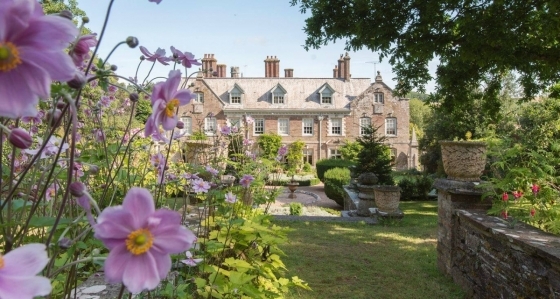 . .
Peruse the gorgeous 18th century country manor and grounds on Sunday 5th February (12pm-4pm) at this Gold Taste of Devon award-winning hotel, where sublime surrounds meet stellar. 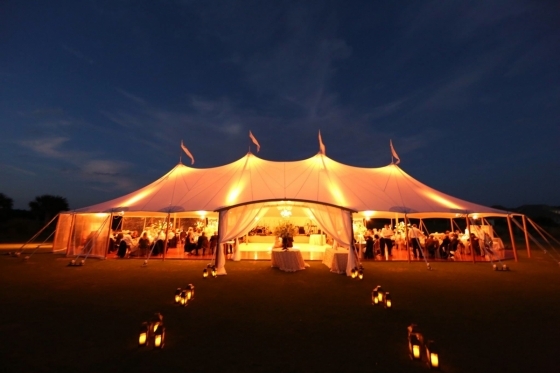 . .
Fusing stunning silhouettes and impeccable detailing, Sperry Tents South West’s coveted marquees exude elegance from every milled pole and smooth curve. Having made waves in the US. . . 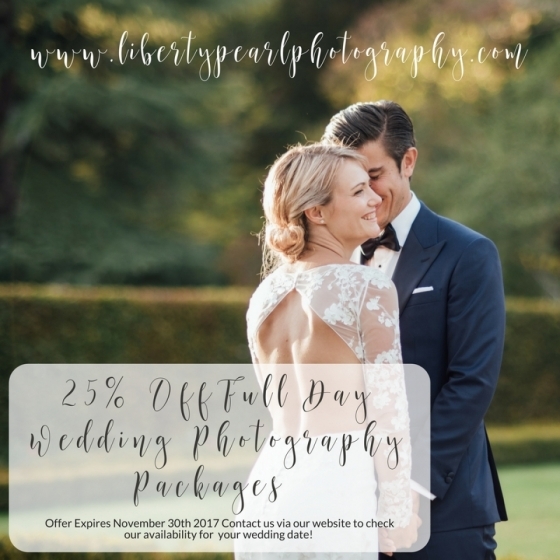 Snap up the spectacular photography services of Liberty Pearl at a brilliant, bargain price with their fabulous current offer - where couples can enjoy 25% off full day packages bo. . .
Helen Edwards of The Velvet Daisy is a highly experienced florist, whose passion for floral design and keen eye for detail is wonderfully vivid in each and every one of her exquisi. . .
Baking beautiful bespoke cakes and cupcakes, Cherry Blossom's creative offerings will satisfy many a sweet tooth in truly indulgent style. From classically elegant tiered cakes and. 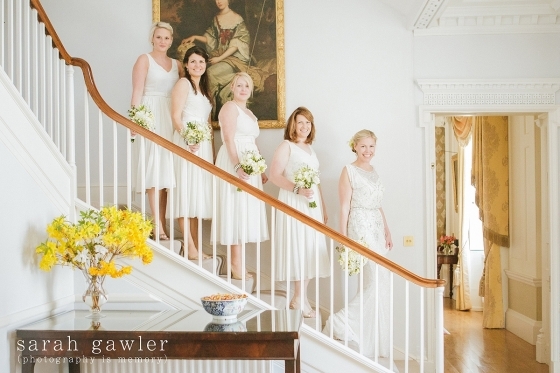 . .
Make a visit to the elegant Haldon Belvedere on Saturday 7th January 2017 for a Bridal Open Day from 10.30am to 1.30pm to explore the glorious, unique marriage venue. See for . . . Happy New Year to you! 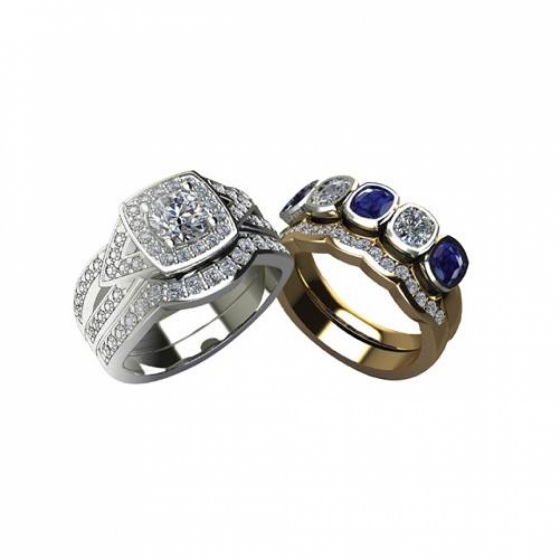 If you're newly engaged and admiring the sparkling ring on your finger, huge congrats! 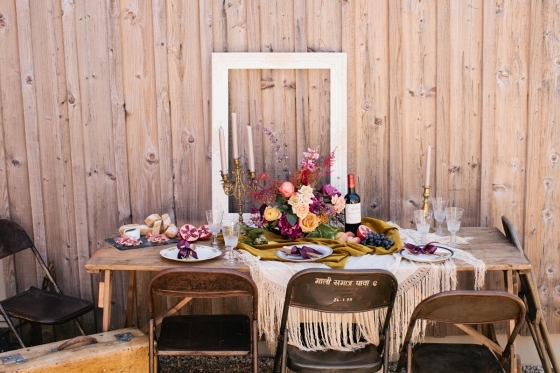 Enjoy devouring all the wedding pretty and planning advice you'll find. 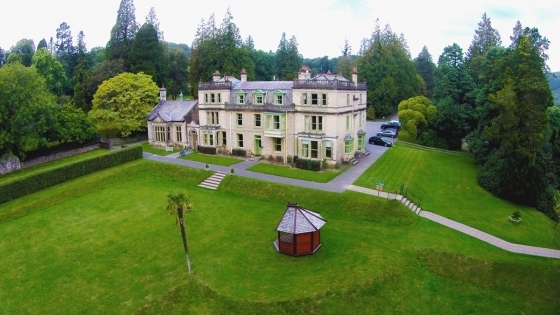 . .
What better way to celebrate your engagement and plan your dream day than with a visit to Cornwall's gorgeous, Penventon Park Hotel for its brilliant Wedding Fayre and Wedding . . . The beautiful city of Bath has become the UK's leading city for sophisticated hen dos – and, with its elegant architecture, the thermal waters of Thermae Bath Spa and vast choice o. . .
Perched on the north Cornwall coast near Bude, Launcells Barton is a beautiful wedding venue set in stunning wooded countryside overlooking the ocean. The magnificent manor h. . .
Find some fabulous inspiration during a distinctive day out at Caerhays on Sunday 19th February 2017 (11am-3pm), where a world of wondrous wedding ideas await. Meet a ster. 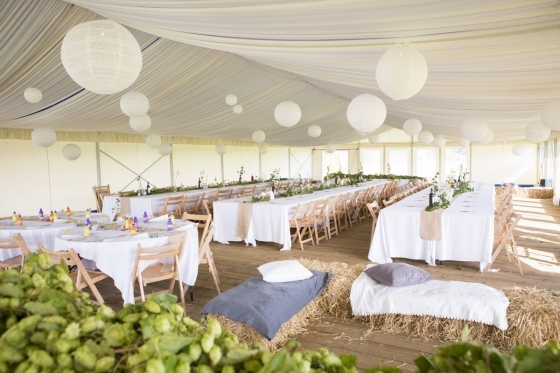 . .
As owner of The Great Barn in Higher Ashton, near Exeter, Emma Birkin has hosted hundreds of weddings and events in the stunning 15th century barn conversion in the heart of Devon’. . .
Soak up the season at one of Devon's most enchanting wedding venues at the Deer Park Wedding Fair on Sunday 29th January (1.30pm-4.00pm). Relish log fires, sumptuous candlelight,. . . 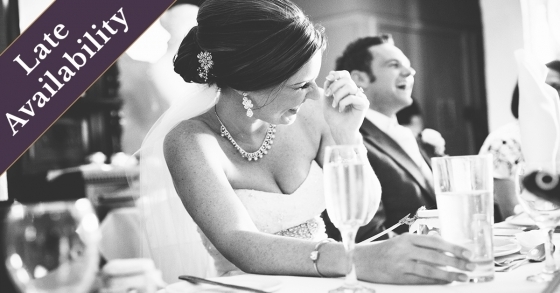 The venue is as high on your list of planning priorities as the date and dress. 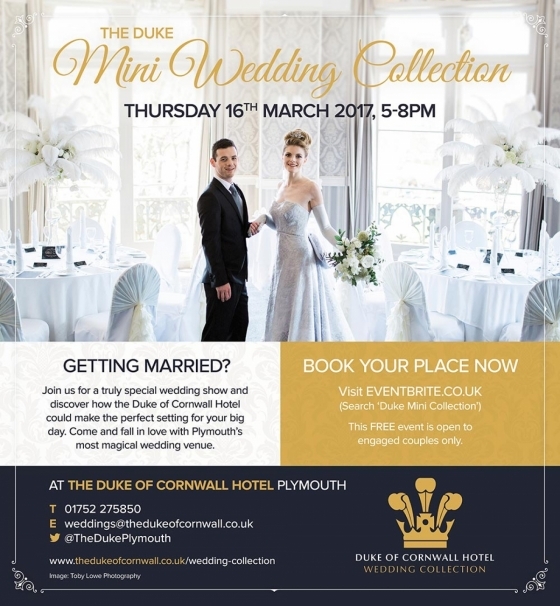 For those deliberating the 'where', a special showcase event at the Duke of Cornwall Hotel on 1. . .
Devon has a new and oh-so enchanting wedding venue. 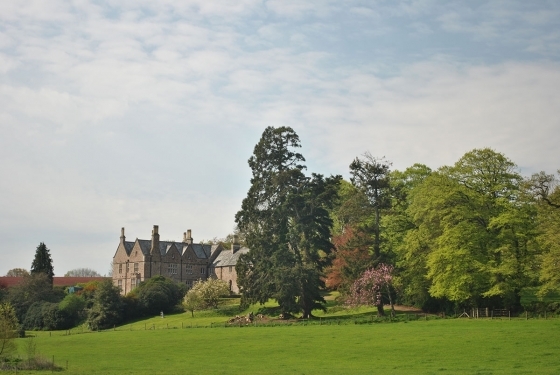 Nestled deep in the rural heart of Mid-Devon near Crediton, Paschoe House is a charming, grade II listed manor flanked by miles . . .
Make a date in your diary for Sunday 29th January 2017 (1pm-4pm) to visit one of Devon's most breathtaking wedding venues during their first and much anticipated wedding fair o. . .